The Journey east was much more difficult than most. Having purchased tickets at a substantial savings, my trip included two changes of airplane, one at JFK New York and the other at Paris. The flight from Seattle was on Delta so at Seattle via internet I was able to print up my boarding pass for that flight and reserve my seat for all flights. However, I was advised I would get the Air France boarding passes at JFK for the remaining flights. Because of the distances at each airport, I enrolled in passenger transit assistance, generally provided by carts or wheelchairs. Seattle failed to provide any assistance but at the gate I again asked for the JFK boarding pass and was told I would have o get it at JFK in New York. The five hour flight from Seattle was full, very crowded, and only offered a small pack of pretzels and water. Anything more, including beverages and ear phones was at a price. The only movie was “The Land Lost in Time”. It was fine without sound! At New York, I was greeted with a wheel chair and taken to another Terminal... At Security they would not let me pass without a boarding pass so we had to find an Air France Desk. Finding it, they wanted copy of my E-ticket on Air France but all I had was Delta, of course. After a long wait they gave me Air France Boarding Pass for JFK to Paris but refused to give me one for Paris to Bucharest saying I must get it in Paris. They changed my “reserved seat” to one under the stairs where you could see nothing. The homeland security attendant dumped out my carryon bag, breaking a flashlight and totally empting two weeks-pills-box containers, giving me a great puzzle in resorting each of 28 days worth of six am pills and seven pm pills, all settled to the bottom of the carryon. The Ziploc bag I kept them in failed! He did not apologize but grunted enthusiastically! The movie was “The Land Lost in Time”. I did not bother buying headphones. It was a very long and uncomfortable flight and very cramped. Worse I have experienced. At Paris I was met with wheelchair and man who spoke no English. He took my itinerary and I said I need boarding pass. He said we would get it at the gate and had plenty of time. He took me to a doorway and parked me saying he would be right back. I explained to hi supervisor about needing Boarding Pass and she said not to worry, it was taken care of. She became quite irritated and left. After 40 minutes, the man returned and put me on bus for Terminal 4, saying someone would meet me there. I and another passenger in a wheelchair got to Terminal 4 but no one was there and door at bus entrance was locked. Driver called several times and finally after about 3 minutes a single man arrived with two wheel chairs. We waited another 10 minutes and another man arrived. It was now 2:15 and my flight was scheduled to leave at 2:25. He pushed me up to security and they would not let me enter as I had no boarding pass! We watched as my plane took off. I had been in Paris four hours but managed to miss my confirmed flight! I remained remarkably calm, noting that in all my life, this was the very first flight I had missed! He never once apologized. He just took me to the Air France Desk where they issued me a ticket and boarding pass for the next flight in four hours, took Marin's telephone number in Romania and promised to call him and advise of the delay. They then took me to Terminal 2 waiting area and told m to wait there. Three hours later as I boarded the plane they handed me a voucher good for one ten minute international phone call from Paris so I could call Marin! Arriving at Bucharest on Wednesday at 8:45 PM instead of 4:15 PM, I discovered my luggage was no where to be seen. It arrived Monday Morning. Marin was waiting for me and of course no one had advised him of my delay. He was just meeting all Air France Jets until I arrived! Romanian passport control sports a flyer which states that if you are from USA or Canada and have swine flu, you cannot enter! 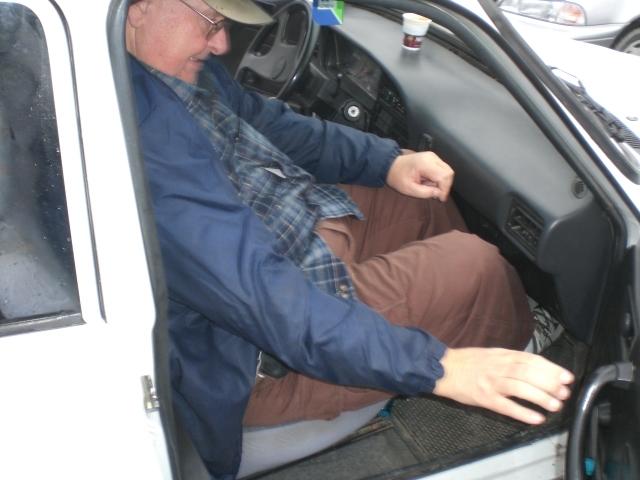 We drove to Braila direct from Bucharest, arriving about 1 AM Thursday. I slept most of Thursday. Marin has not been able to finish the new house as yet (no roof) so they moved to a third level apartment a month ago so I would not have the steps to contend with. That evening visitors started arriving. Marin’s’ family, Brother Nakutsa, Pastor Streghor and his wife, Pastor Florin and his wife, Sister Maria, and others. Friday I attended a prayer meeting with Christina, gave a teaching and generally filled them in on Caleb events and my family. Friday night Marin’s ‘family surrounded me and talked for two hours on why I should move here and live with them! They have several private medical facilities in the country that are modern and they would pay for my care and meds and I could travel back to Seattle e for visits three or four times a year! We have had this discussion before but they keep renewing it each trip! Indeed, this is my second family. Late Friday night a lady came to see me about her situation. She said she had been praying for my journey for a week in hopes she could meet with me. She has three children, the youngest 14. Her husband left her for a mistress ten years ago. He lives close but never even visits his family or supports them. The eldest son now spends all his days in bars drinking. The state church will not intervene on her behalf as women have no standing in such matters. We prayed for her situation. Saturday was meeting with the elders and the Caleb Volunteers. That evening we had church at the Colony with the gypsies. Sunday was morning and evening church and a barbecue at Sister Johanna’s House. Monday at nine my luggage arrived so I could change and pack for travel. Marin and I then headed north to Iasi to deliver Glycobears to two orphanages and a family and to visit the jobsite where he is building a house. We stayed the night at his brother’s house where last year we stored Christmas Shoeboxes. 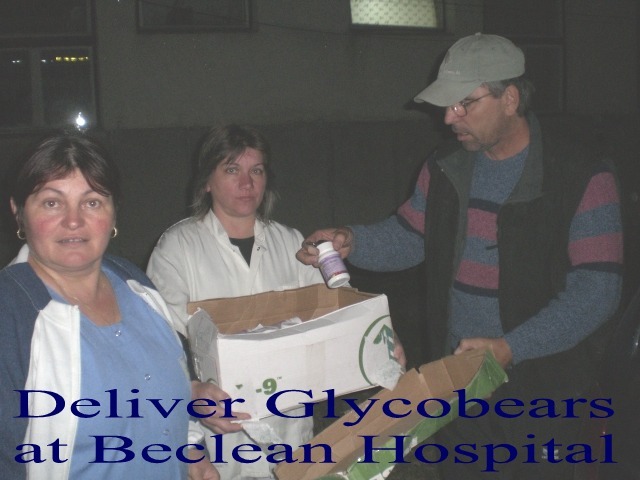 Tuesday we drove to Bistritsa to deliver more Glycobears, on to Beclean and the hospital for their shipment, and then tried to find Kristin Miller. We never located her. Her number no longer works and the hospital staff had not seen her. We got a room for the night. 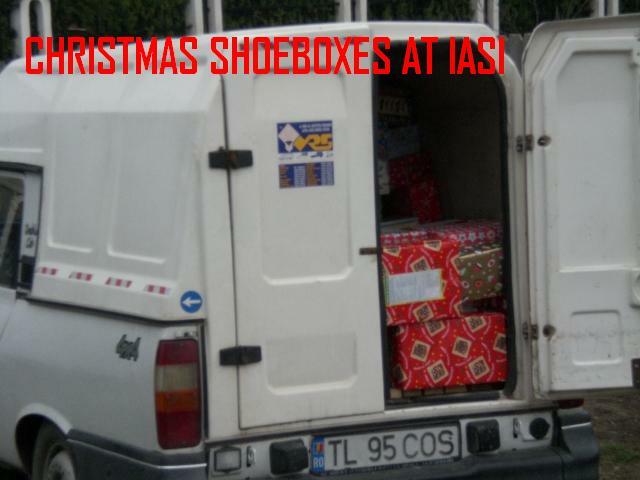 Wednesday, we drove back to Iasi to complete papers for the house and then back to Braila. It was 4 below in Iasi and though they built a bonfire at the jobsite to warm me, I got a bad cold so Thursday I stayed in bed. Romania held an international conference on swine flu last week, inviting experts and health workers from 17 countries. Held at the Sinata Hotel, the conference was abruptly cut short when 40 tourists in Sinata Hotel were diagnosed. All participants were sent home. 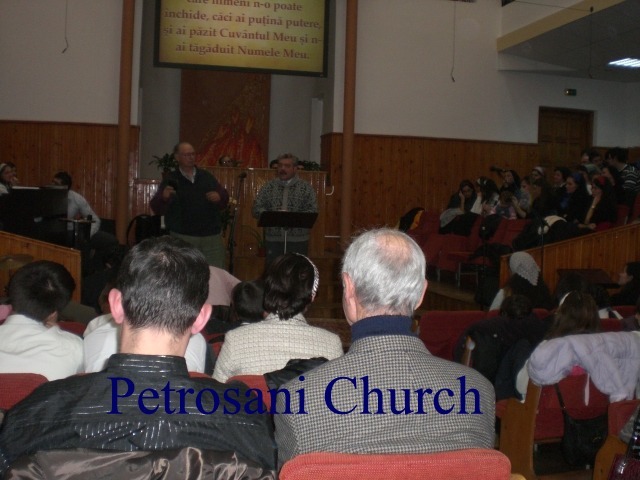 Friday night was “long night” service at Marin’s church in Braila. We had 5 pastors present, much prayer and much preaching. Pastor Streghor asked that I share about the Philippines Trip as they were praying for me for that journey when I last left Romania. We slept most of Saturday to recover from being up all night Friday. Saturday afternoon we bundled the 5 Tiripa children and had a picnic at the site of the house construction. Then Saturday evening several families came to Tiripa apartment for weekly prayer time. 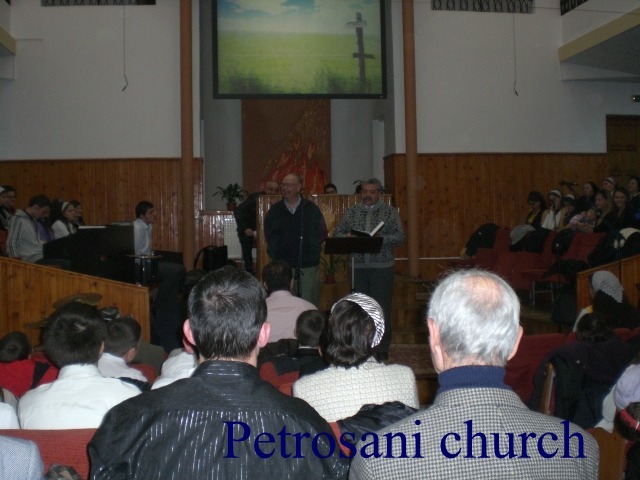 Sunday morning was church in Braila. I preached on Acts 17 (Paul at Mars Hill). In the afternoon we took soup and bread and blankets to the sick. Sunday evening was church again and I spoke on Gods preparation for our work, using Acts chapter 14 and 15. After church we took two loads of Gypsies back to the Colony so they did not have to walk in the frigid air as buses stop at 8 pm along with the trolley. I am constantly surprised and thrilled by the efforts the Gypsies take to get to church from the Colony, nearly six miles away! It was nearly midnight when we got home and put the kids down. 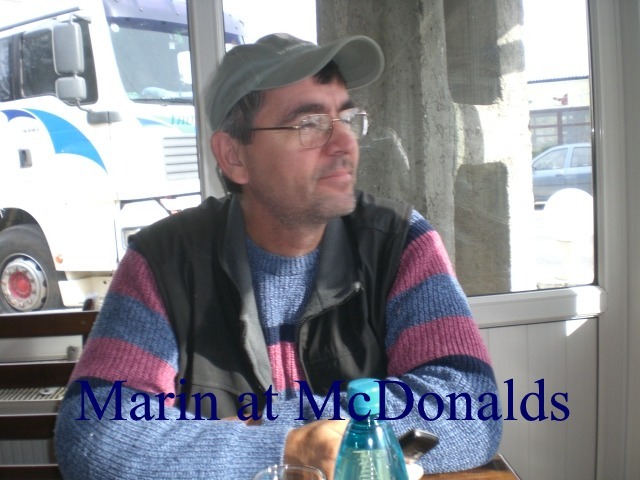 Marin has five children ranging from 15 months to 11 years of age so it is a handful in the small apartment. Early Monday morning Marin and I drove to get our friend Jonathan to take to the hospital. He suffers an inoperable brain tumor and very painful neurological condition which requires frequent clinic treatment for the pain. He can barely walk and lives alone so Marin takes him. Arriving at the clinic for his appointment at 7 AM, he was turned away as the clinic was full for the day! He has been assigned here so cannot go elsewhere and he had an appointment but no matter, he was sent home to try again next Monday! Life is very hard here in so many ways we do not appreciate in America. 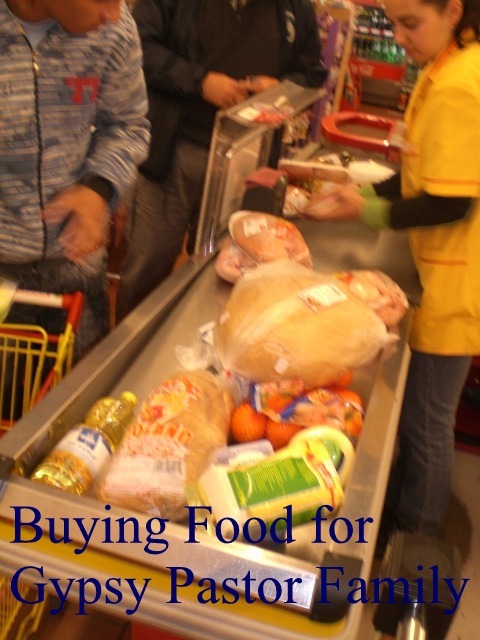 Monday we had errands to run getting groceries at the market, getting kids to school and music lessons (Ann plays the piano and Paul the violin). After, Marin and I picked up the approved finished plans from Braila Provincial Government for his new home he is building in Versatura (just outside Braila) and took them to Chiscan for approval by the city hall. There he was admonished to bring the originals plus two photocopies for their files so we had to return to Braila to find copy machine! We returned with the copies and left the plans for their study. 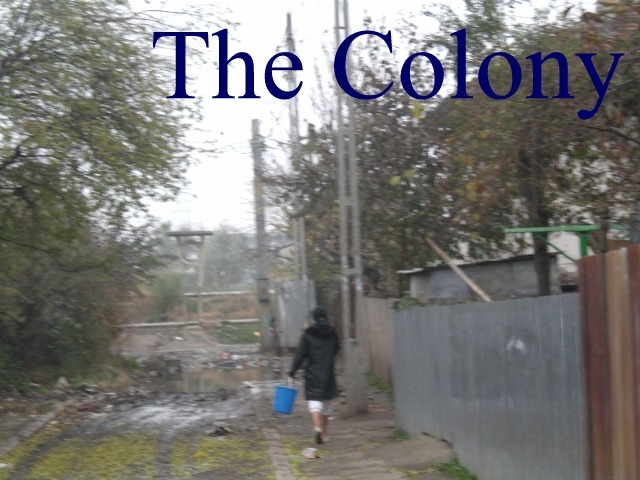 Then we went to The Colony (Gypsy slum village) to pray for a man named Sergio who has lost use of his legs. He is gypsy. The government health program declared him handicapped and offers him Rehabilitation treatment for $2,000.00 US with no guarantees and he most travel 600 miles to the center. He gets only $80.00 per month for him and his wife and two children so this is hardly feasible. We provided Mannatech Supplements which might help, prayed with him and visited 90 minutes. He was very pleased as no one has visited in over a year! 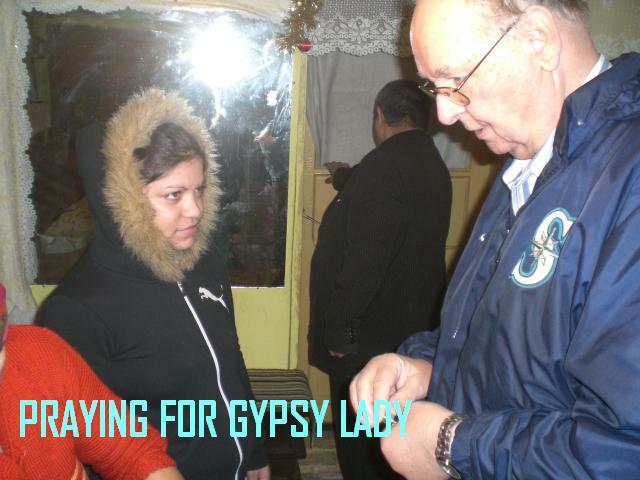 I asked why the other gypsy families did not visit and pray with him but Marin says they never pray alone or in small groups but only when church meeting as is sign of weakness in their society to ask anything. The man and his family live in a room about 10 by 12. It has television set, one light bulb strung from ceiling, couch, two wood chairs and many stuffed animals. The only wall decoration is classic painting of traditional Orthodox Jesus, a lighted candle in sconce, and a Christmas card photograph from another family. The room has a metal box for fire as heat and cooking source. There is outhouse outside door for five apartments in the building. It was clear our visit touched him deeply. His wife was wearing a U of W Husky Sweater indicating Marin has been giving them Caleb clothing and supplies. Both boys work for Marin in construction. 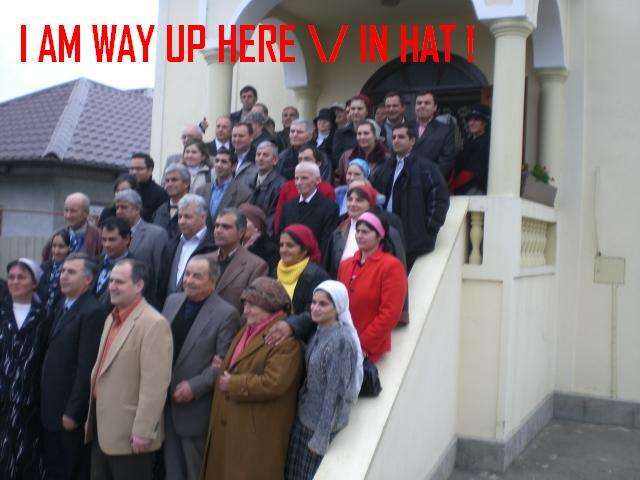 Monday evening was church Board Meeting at Braila concerning the 14 churches in their alliance. 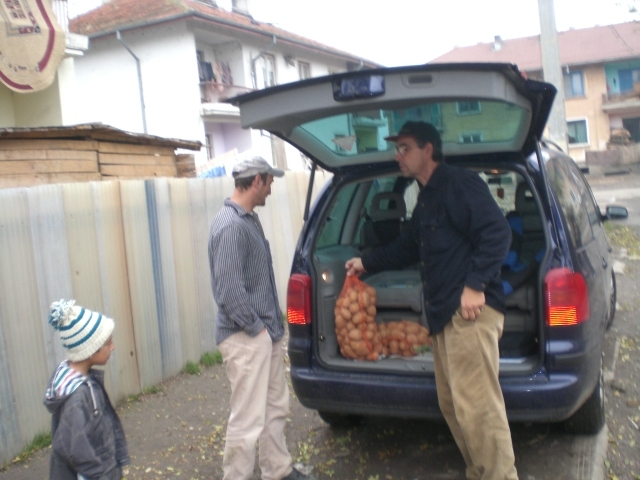 Tuesday we took clothes and food to a lady with four children living on the church land at Unirea, about 30 kilometers from here. Her husband deserted her and she lives on a small farm with two horses, two cows and many chickens. Tuesday evening was small church service. We had prayer time from to 8 pm. 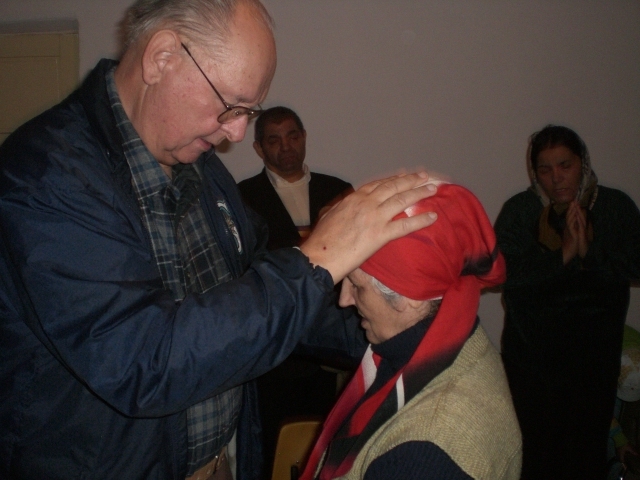 Process is elder reads a psalm or scripture point to “the sick”, “the world”, “our community”, “the church”, “the poor”, etc, gives short teaching and then everyone gets on knees and prays , usually in tongues here, for that concern. 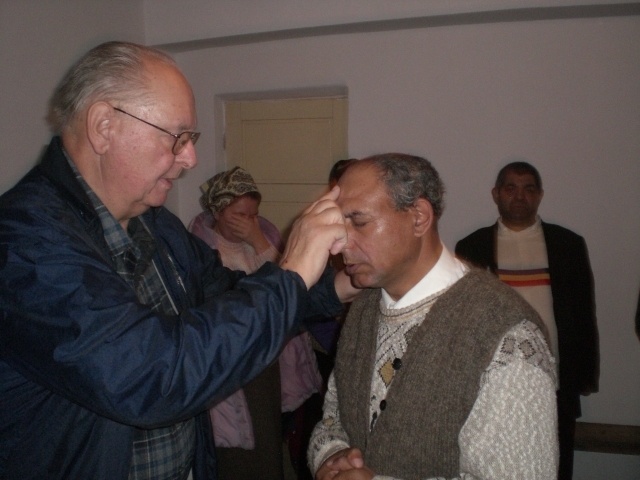 This process is practiced in most ell Romanian Pentecostal Churches each Tuesday or Thursday evening and then for the hour before Sunday morning worship. I love it! It is known as “Appointed Prayer” and each time different elders or pastors lead it. After church many wanted to stay and talk so we got home at midnight! One gentleman came up and told me I prayed for him seven years ago as he had only weeks to live because of cancer. I was thrilled to again witness yet another miracle by Jesus. This has happened countless times but always gives me a new respect and love for our gracious Lord! This AM Marin and I leave for Iasi (pronounced “Yosh”). The route is about 600 miles we will take, on dirt roads, back streets and wagon ruts’ as we have many visits to make. 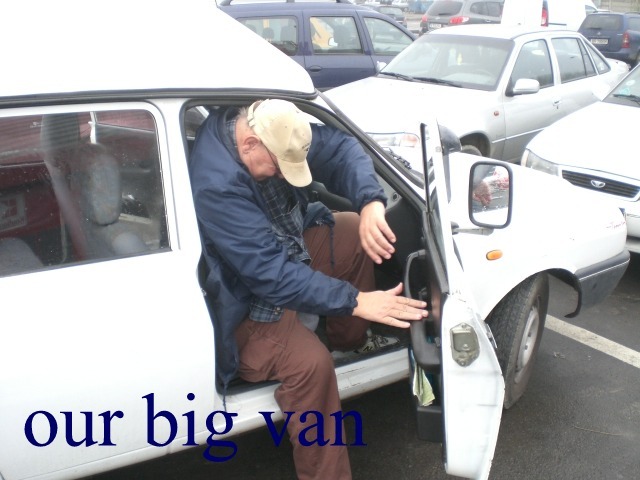 Picture me in a Luv- size pickup, crammed in with clothes, Glycobears vitamins and an overnight bag. I love this life! Wednesday, Marin and I headed out, first to Camp lung to visit Rebecca and the House of Hope Orphanage. 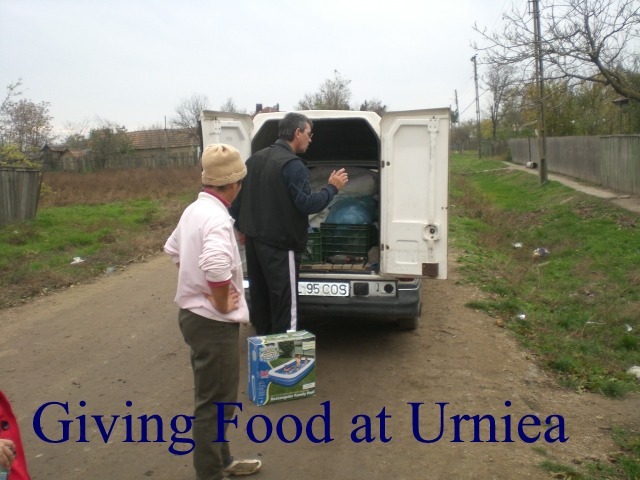 As we were driving through the hills, I thought of our visit a week ago to the lady we took clothes and food to in Unirea. I failed to mention she alone is working the small farm, tending the two horses and cow, goats pig and garden while caring for her four young children! How hard life is here for so many. When we arrived, she was washing clothes in the back yard by drawing well water and scrubbing the clothes by hand in a metal trough designed to water horses! Driving through the hills west of Bucharest we saw many tending their fields by plowing with horses, a few by tractors, and a few by mechanized farming. This is fast becoming a land of contrasts as many young who fled after the revolution now return to build with money earned abroad, the European Union and favorable tax breaks bring in mega stores and hypermarkets, while the elderly and infirm struggle on using old techniques and dated equipment. Arriving at Campalung de Arges in late afternoon, sadly, we discover Rebecca is in the United States but we visited the facility and left food, clothes and Glycobears. The “House of Hope” she has constructed on the hillside outside Campalung is absolutely beautiful and in every way state of the art. The grounds are wonderful with farm animals, playfields, orchards and gardens! To its shame, Romania still refuses permits to open the 300 plus facility for technical reasons in a country still replete with street children! Rebecca operates the orphanage with severely handicapped children, about 18 in number, using two cramped apartments in the city. Heading east again, we traveled through the foothills and mountains up switchbacks towards the Carpathinians and snow country. The scenery is breathtaking with autumn colors, small roadside stands of apples, pears, late grapes, cheese, wines and local specialty foods. Marin and I stop and buy “wild boar jerky” and a pretzel-like baked “circle” called “Cobrink”. (Very bland flavor as if a thin bagel) We spend the night at a pensiune for $45 including coffee for breakfast. 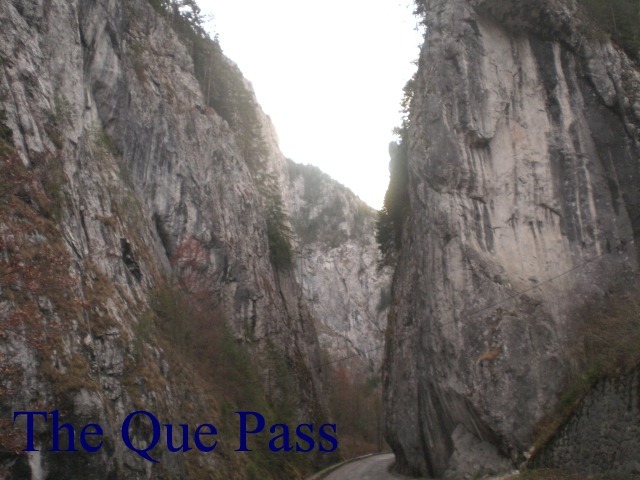 The “Bicuz” pass and Bicuz River and town of Bicuz are as beautiful as ever and the queue roadway takes your breath away! 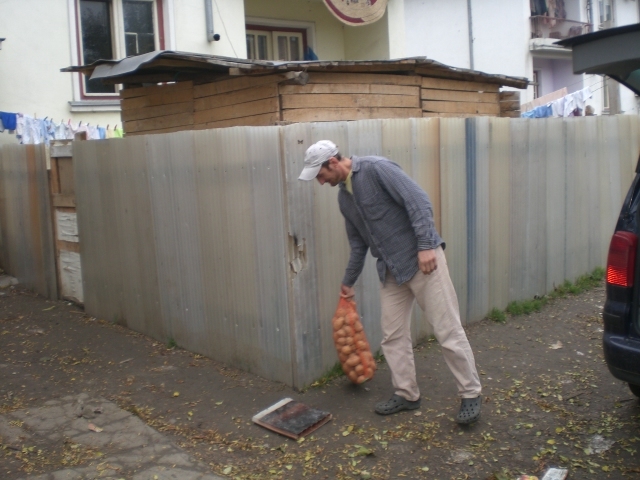 We journey on back east now as we head towards Neamt and the small village where my friend Arhile Vasile lives. Marin stopped at a Farmicia for headache medicine. 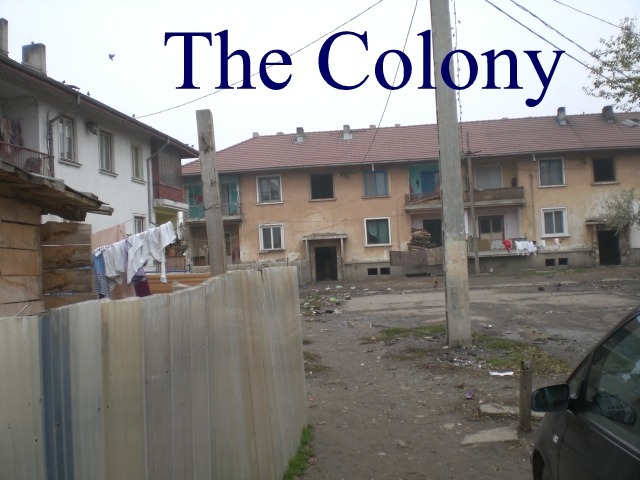 He returned with the Romanian standard treatment, a single pill torn from a foil packet. You never get more than a capsule or two and rarely in a package could you identify. You just tell the pharmacy your symptom and he sells you a pill, usually cut from a packet of pills. Arriving at Arhile Vasiles mid-morning, we are greeted by his second eldest son, a 26 year old who has returned from working 7 years in Italy. His father is in the forest cutting trees so he invites us into his new house built with funds he earned in Italy. His bride prepares coffee by drawing water from the well, carefully getting out a small metal tin from atop the cupboard and pulling out sufficient coffee beans, crushing them with a mallet and tying in a cloth and dunking in the water as it heats. They do not serve coffee often! 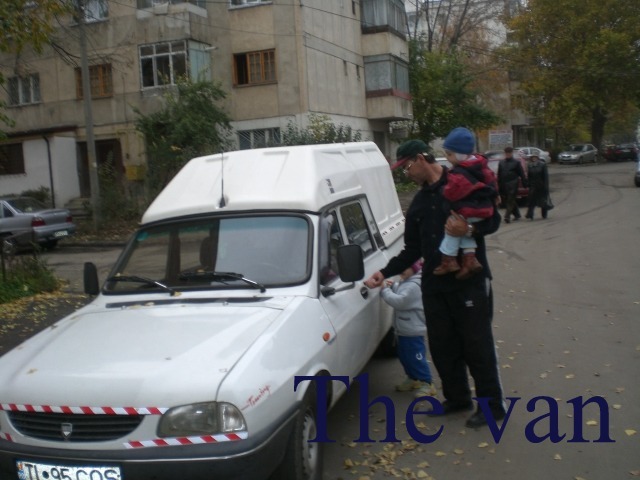 Finally, Vasile arrives, speechless by our visit and full of questions. The three eldest sons and daughter are on their own, the daughter in college! He still has seven at home and he still works the forest for firewood, pelts, fish and herbs. He has several questions he has been waiting to ask as on my last three visits he was gone. Pointing to a passage in Hebrews 6:4-6 he asks if the unforgivable sin is adultery. Marin and I explain it is not and that sin is the blasphemy of the Holy Spirit. He says “yes” and then goes on to insist it is adultery. Going round in this discussion I finally realize someone has been committing adultery in this circle and Vasile will not accept any explanation except that it is unforgivable! I suggest we leave it at that and let the local Pastor deal with it as we had discussed it two hours with no resolution! Vasile is proud of his son and new daughter-in-law. Their house is right next door. The son says it was terrible working in Italy as he was badly treated as a foreigner and poorly paid and his health now suffers. He says he will never leave again . Spending six hours with Vasile was truly wonderful; He is doing well for which I am very thankful. We leave funds for their Christmas, medicines and food as there are now 16 plus a baby on the way in this family, living of the forest! 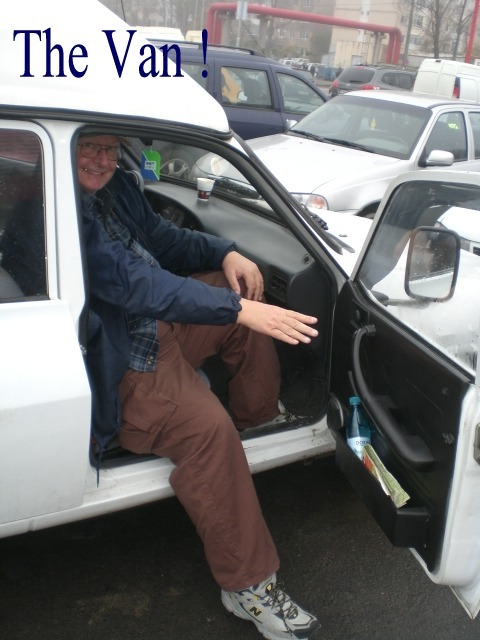 Traveling East from Neamt, the drive is challenging at times as Marin listens to soccer on the radio (in Romanian), answers both his cell phones, and I keep the windows clear from fogging up as best I can while looking out for horse carts and drunks on the roadway. We pass cows meandering home, horse-drawn carts with farmers asleep on the fodder or hay as the wagon heads home, the horse knowing the way, sheep and shepherds, big trucks and containers, logging trucks, and every variety of small car you can imagine. At Suceavea we were to visit a village with our Policeman friend for services but he was sent out on assignment in Portugal, presumably bring back a prisoner, so we continue on to Iasi. We arrived at Iasi about 10:30 PM, and stayed at Marins’ in-laws for the night, I slept on a couch and Marin a lawn lounge chair. The house is still under construction so it is less than ideal but better than sleeping in the car or up the 13 flights of stairs to his brother-in-laws apartment! After a light breakfast of coffee, goat cheese and olives, we head to Nadia House, an orphanage we support operated by the Cazcaus family from Detroit. They are Romanians who had a foundry business in the USA when Romania had its revolution. 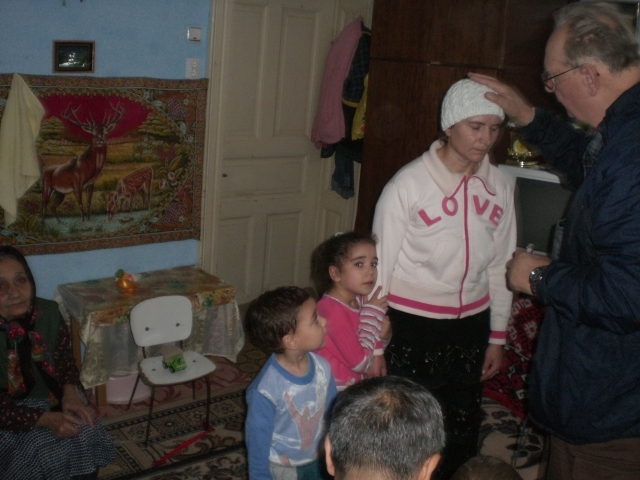 They adopted a severely burned Romanian girl named Nadia and after year sold their business and returned to their native Romania and started this ministry based in Iasi. 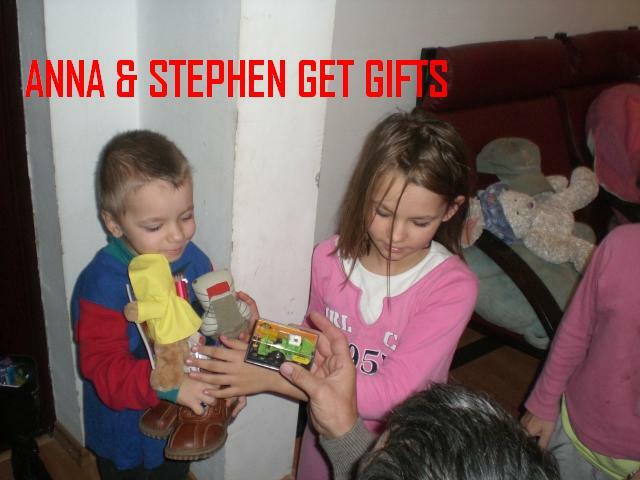 They provide wonderful services to children in villages in Moldova and Romania. 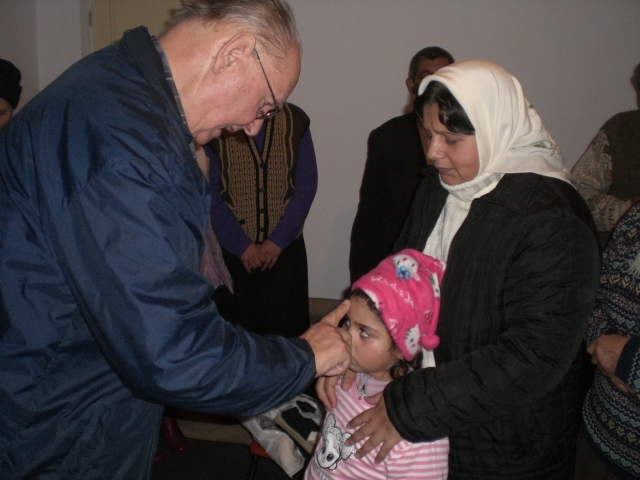 Christina Cazcau was at a hospital attending to two girls having surgery but we had good visit with Ghiorghi Cazcau. He was excited to tell us the latest in their ministry. 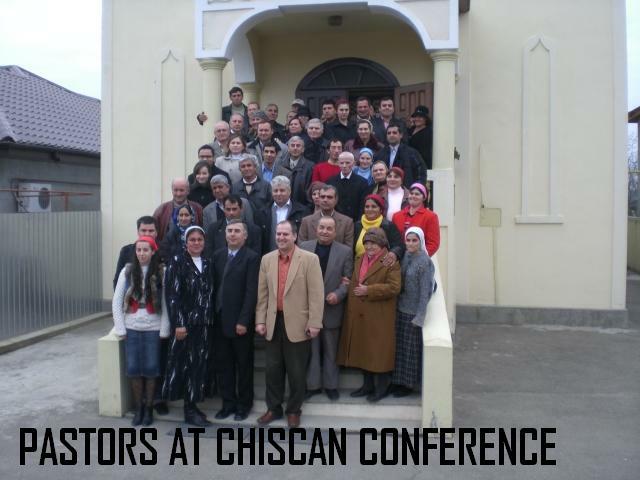 They now have 55 missionaries in Moldova and Romania serving small villages. He is very excited we have bought another box of Glycobears and much clothing. We shipped containers here previously and continue to support their work. The 14 Caleb computers here are all being used in village churches to teach typing and office skills. Ghiorghi has invited us to take photos of the Glycobears program and encourage Mannatech to continue to include his ministry in their distributions. We will pass the word along for him. Leaving after a light lunch again of cheese, olives and bread in Iasi, we journeyed the backloads to Negreste to visit Lydia Rascol. Encountering a most unreasonable police officer in Negreste, we were ticketed because a speeding car passed us and a horse-wagon in the center of town. We were going very slow behind the wagon as we were just two houses up from Lydia’s and going to park our car. However, the officer was so mad at the passing car he ticketed us both. We had to go in traffic court right then, and were fined $10 for being in Negreste with a car from Braila. ????? The other car was fined $125 ! Its not justice but it is common here for districts to fine cars fro other areas of the country for little or no reason. Leaving the “courthouse”, we found Lydia was not home, away in Bucharest according to neighbors.. We visited her two villages where she feeds about 200 gypsies each day, left food and clothes and continued back towards Braila and visited the first “long night” services at a Gypsy village about 10 miles north of Braila. 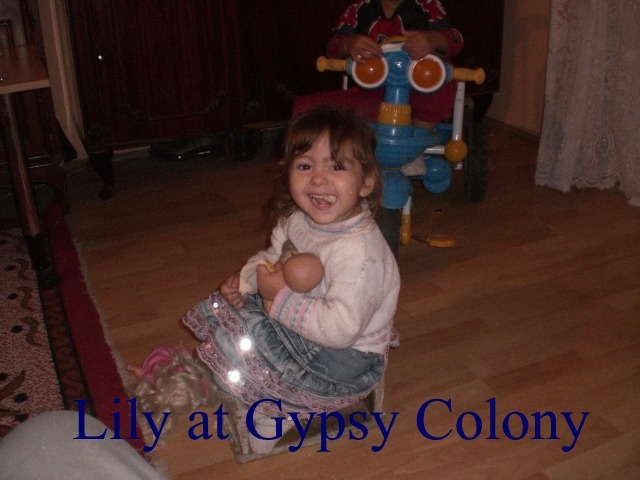 This village is birthplace of Gypsy Peter whom I baptized four years ago. He organized this first “Long night” in his home village, binging benches in via horse-drawn wagon, baking bread in the fireplace, buying pop and coffee, cleaning the two room and inviting many to come. It was attended by about 20, packed into the room, many not believers yet! We left the services about 4 am and came home to Braila. Saturday, I did laundry and rested as Marin played with the kids! Public employees refuse to go on unpaid leave, threaten with protests…it is election time in Romania and government employees are being difficult! The attitude towards world financial crisis in Romania and much of Eastern Europe is “not my problem” as the poor continue to look to the government to provide everything they require. They simply believe some how they should not be affected. 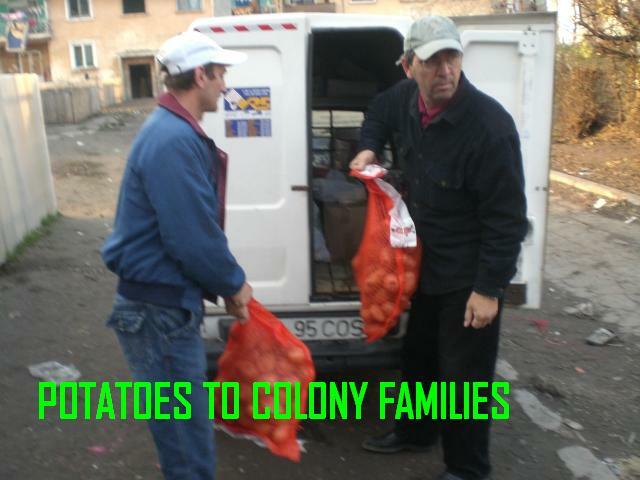 A few actually understand and are making efforts but the effects of 40 plus years of communist dictatorship in Romania still play a role in daily lives. Sunday morning I preached on the last chapter of First Corinthians but it did not go well. Marin was translating but another man who spoke English kept correcting him from the front roll, making Marin self-conscious and causing him to doubt the translation.. Thus, he kept asking me to repeat each thought so he could think through the sentences, making it very jerky and hard to follow. This has happened on a few occasions and there is not much you can do about it. So I made the message short to prevent a fist fight ensuing in the church! This happens rarely but when it does it is best to simply stop rather than make your translator look bad. It is hard enough to translate and then to have a third person correct your choice of words makes it very difficult. If I had realized the man was there I would have chosen a message Marin has heard before, making it easier on him. 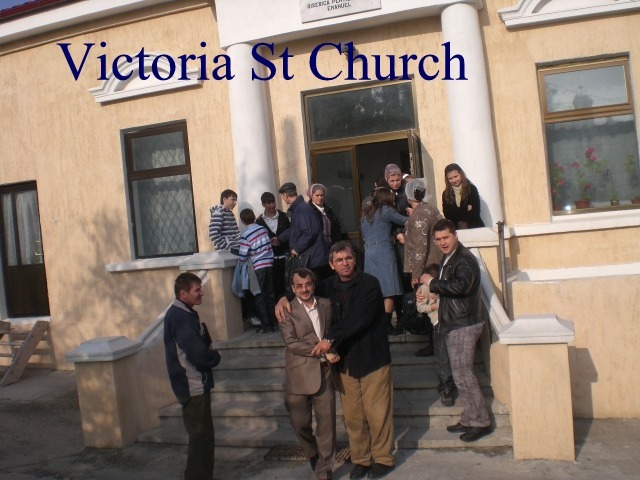 The Braila church is very gracious and accepting as I have preached there probably a hundred times in twenty years so I was not a problem but I felt bad for Marin. Sunday night went much better as Marin and I spent the day reviewing the sermon and I re-did the message. Then we dedicated a new baby for Gypsy John, a little boy! Monday Marin and I visited the colony and prayed for people and had a long discussion (3 hours plus) about the gypsy leadership lifestyle slipping. They want their own church but some leaders are not disciplined so it would be a disaster at this time. Some still smoke, drink, steal or have mistresses from their old life but we are working on it. 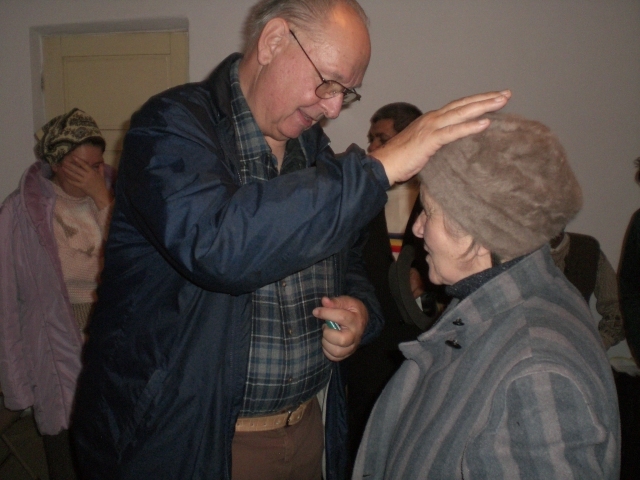 The respected elder very much wants a church there as travel to Braila is difficult for services 6 days a week but he clings to the old gypsy life as well. 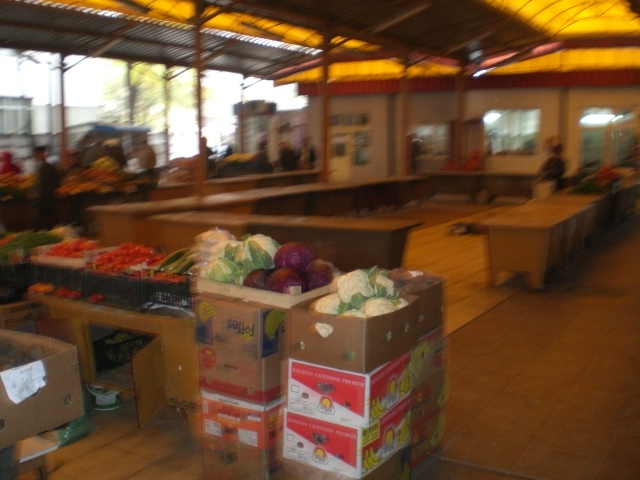 We bought potatoes and cabbages and clothes for several families. 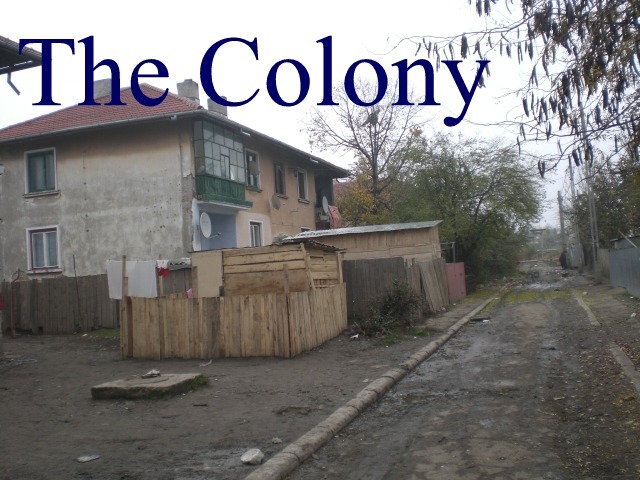 The filth at The Colony is nearly unbearable with the garbage piled high and smell of human waste permeating the walls. Still, many live there in the squalor. I slept there at Bother Johns as I had promised before I would do some day. They were most pleased to host me and thrilled I felt that at home. In many ways they actually trust me over Marin as I am not Romanian! This leads to some funny pitfalls but I always redirect them to Marin. He is their pastor and they need to respect his decisions. 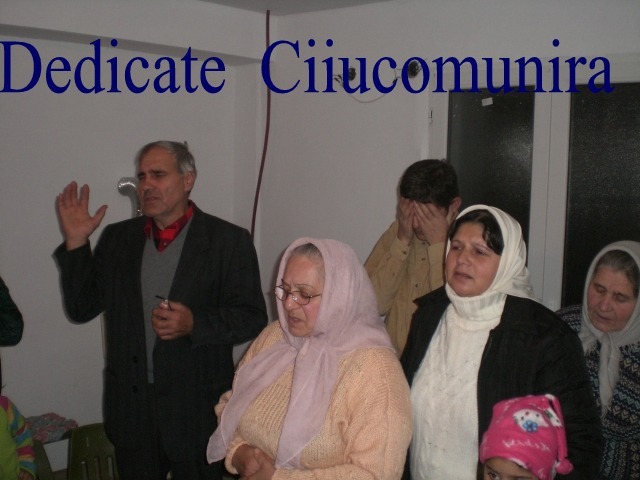 There are four gypsy churches operating in Braila area started by Marin but each have leaders who are following the rules and can read and write. Even though the Colony is the biggest in numbers, it has no one who reads and it is farthest behind in improving the lifestyle. So thus the debates. Caleb started classes in reading at the Colony but adults would not attend. I enjoy being at The Colony very much as their faith is child-like and simple in many ways and their prayer is fervent and spiritual. The fruit is slowly coming as they have trouble sharing with others or dropping completely the old gypsy “macho” ways. 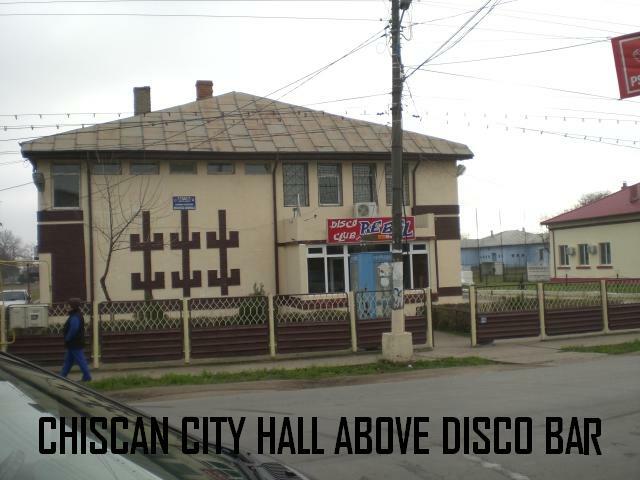 We went to Chiscan (city hall for Marins home is in Chiscan District, located above a Disco Bar!) to pay the $10 fine imposed in Negreste. Any traffic fine can be paid where the infraction is cited o in your home district, your choice. You have 3 days to do it either way. Romania is a little lax on traffic matters. Most Romanians see traffic signs, signal lights and road barriers as “suggestions “rather than rules. Driving is wild as you mix horse wagons, sheep, cows, small cars, big trucks, buses and mini-vans on the roadways. Tuesday Marin and I returned to the Colony to pray with the leaders to start the day and show our continuing support. Several came for anointing prayer including a lady I had baptized three summers ago. 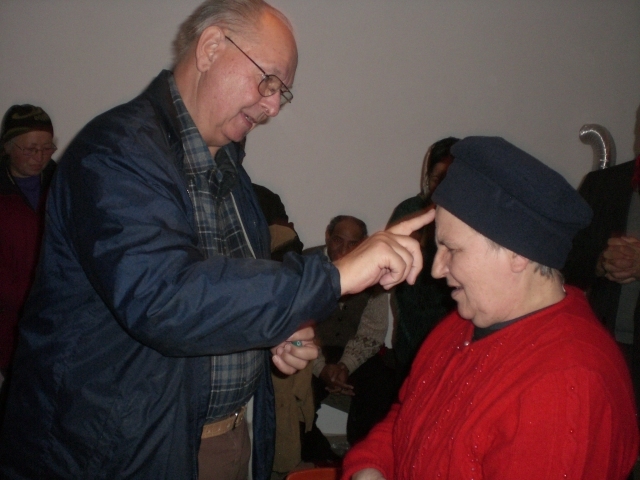 She sought prayer for Bronchitis and brought with her a young man with epilepsy. I anointed each and prayed with them as always. 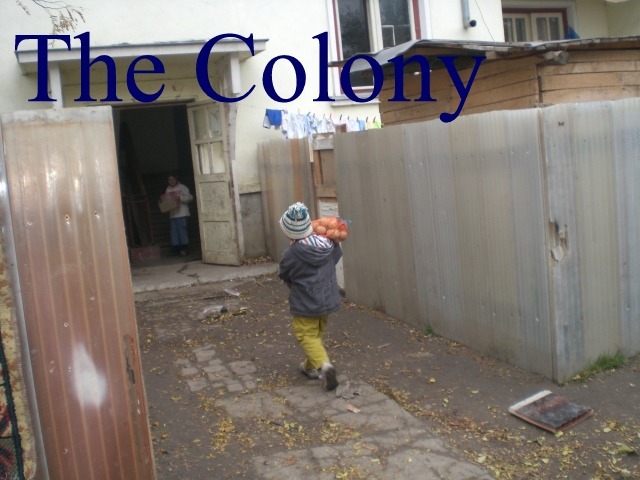 Leaving the Colony, we received a call of a man waiting to see me at the central Orthodox Cathedral parking lot. When we arrived he said it was only place he could easily find to meet us. He led us from there to a small house where he lives with his mother, his wife and four children. It is one room home with ceramic fireplace for heat and cooking, two platform beds (plywood and blankets) that serve as couches, small table for children to do homework, shaving kit hanging on wall with small mirror, and buckets of water drawn from faucet half a block away. 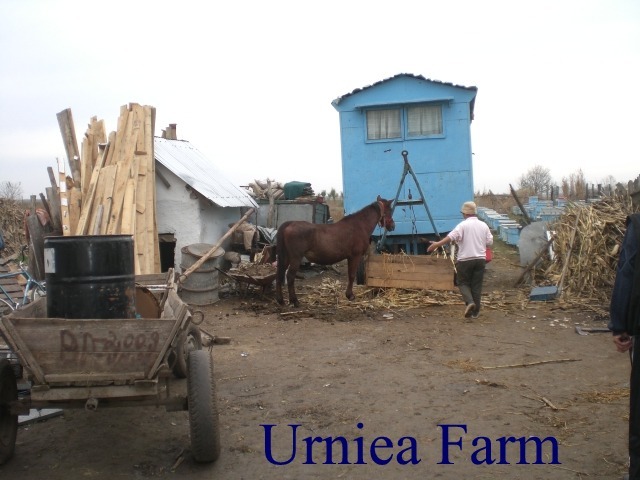 In drive there is an outhouse, this being in near center of Braila, a city of 300,000! The man sought me out to pray for his wife. In 1995 she had a polyp on her right ear. A surgeon removed it but left instruments inside, necessitating a second surgery three years later by another doctor. Her vision was blurred and she had recurring headaches resulting in third surgery in 2003 to drain infections. 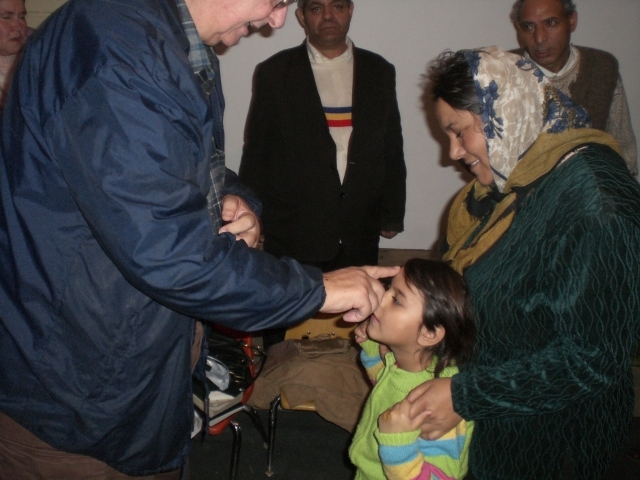 Now her vision is very bad, headaches are unbearable and she is afraid of the doctors. 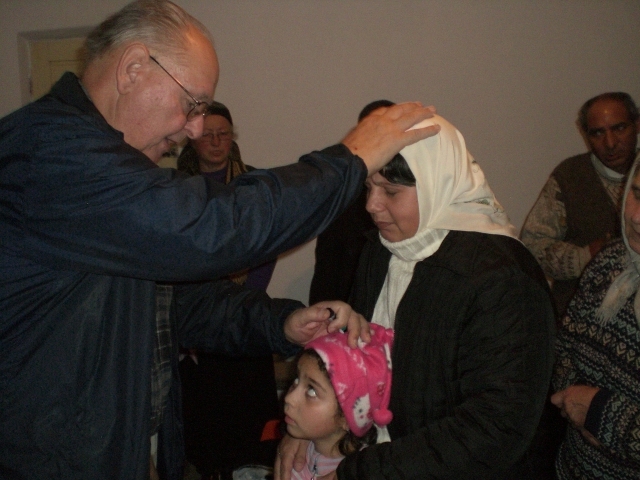 We prayed for her and we referred her to the free clinic we support in Bucharest, giving her referral to American Doctors who can evaluate the situation. We delivered much medical equipment to this facility on a container in 2001 and spent several days helping establish the facility and getting its credentials. Since, we have shipped many medicines and equipment to them. They are based out of a ministry in Minnesota and they agreed to see this lady immediately on our referral. Tuesday evening Marin watched the five children while Cristina and I delivered pails of Chorba soup to sick people and then attended a home prayer meeting. There were about 20 people at the meeting, held in a small room lined by a plywood sleeping bench. Only a small table, two wooden chairs, and several small stools furnished the simple room, with tapestries on the walls depicting forest scenes. It was clear this group met regularly. Most were elderly but there were three children including a boy who at 12 has had six years of English in school! 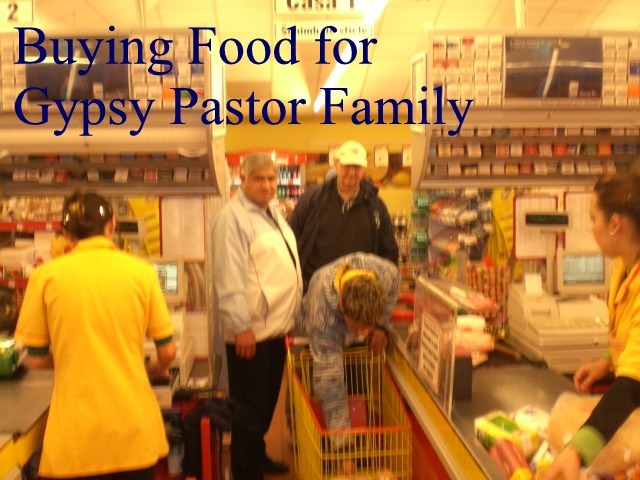 The group is very serious about exercising their spiritual gifts and has found the existing Pentecostal churches inadequate in serving their needs. They began by singing three songs and then all kneeling for a season of prayer. The cries and shouts of Alleluia rang out for probably 20 minutes and then an elderly woman I had never met started prophesying over me. She declared the Lord revealed he is restoring feeling in my hands (I had not told them this was an affliction for a year since my stroke) and was giving new life to my legs. He was opening doors and windows I never dreamed of and I was yet less than half finished in his calling for me! Yipes! It was awesome! They then had another round of songs, and another season of prayer on our knees. During this praying, yet another elderly lady , dressed in white gown, aiding her walk by a cane, came across the room and “thumped me” on the head so there be no doubt of whom she was talking about! She described attacks by the enemy in my life where Jesus stood in front to protect me, went before to clear the way, provided angels to minister and direct my paths. (Those who know me closely know all of this o be absolutely true) She stated Our Lord is pleased with the food, clothes, medicines, and teachings but more importantly is rejoicing in the comfort I have extended in His name. She then repeated the pledge that my work is less than half complete and I need to be prepared for the “whirlwind o Elisha”. She said Our Lord has looked into your soul and has increased your power ten-fold” Wow! She then sat back down and the praying continued. The leader then made announcements about the next meeting and everyone went home. I was so surprised (and elated) as I had expected a prayer meeting for others and yet was ministered to by these strangers. This is very “Romanian” if you get my meaning. There were only four there I had met before and none but Cristina knew I would be coming to the meeting so I must accept what happened at face value and simply thank Our gracious Lord and proceed s He has directed. 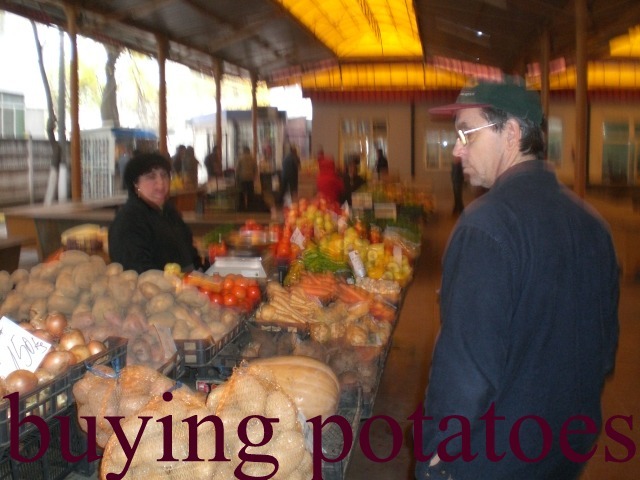 Wednesday was shopping day, processing notes and evening church in Chiscan. 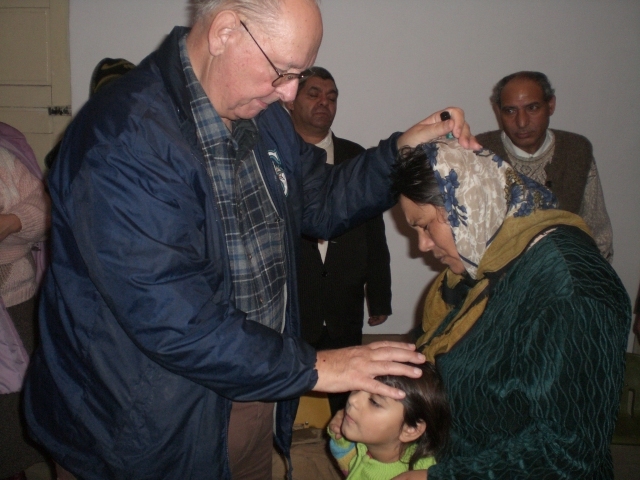 In Braila as in most Pentecostal Churches in the Third World Eastern Europe, church has some type of service every night except Monday, (reserved for visiting the sick) and twice on Sundays. It is Prayer Time or a full service or a Fasting Meeting or some other activity literally every night. This is why we try to equip our pastors as bee keepers so they can support their family and carry on ministry full time. Thursday we again visited homes including a hospital where we prayed for the sick. 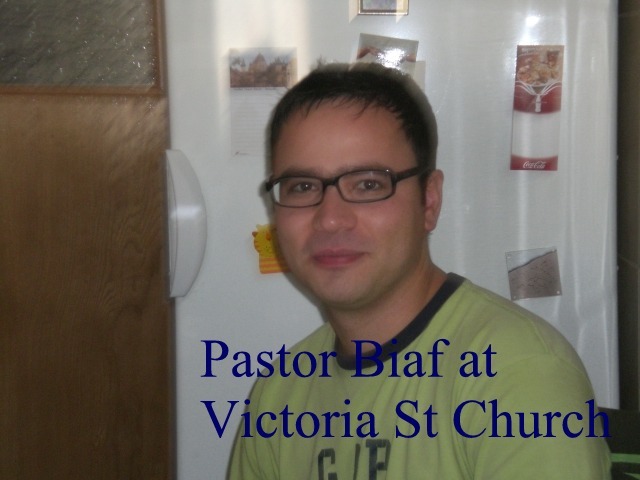 Thursday evening is Fasting at Braila so we held Fasting service from 5 to 10 PM. This is comprised of songs, small teachings, answering questions from members, reciting favorite verses, and doing projects to keep our minds off food. We cleaned and painted Caleb warehouse rooms to serve for Sunday school during winter weather as they cannot meet outdoors which is their usual program for children. Friday we visited in the urgent care hospital and provided medicines for some poor families. Romania hospitals are very poor n care depends on paying the doctor and nurse at each visit before they look at you, even in the hospital. The hospital provides a bed and sheet but you bring pajamas, food and blanket! I have detailed the conditions in Romania’s hospitals before so will not go into it again but suffice to say it is very poor care. 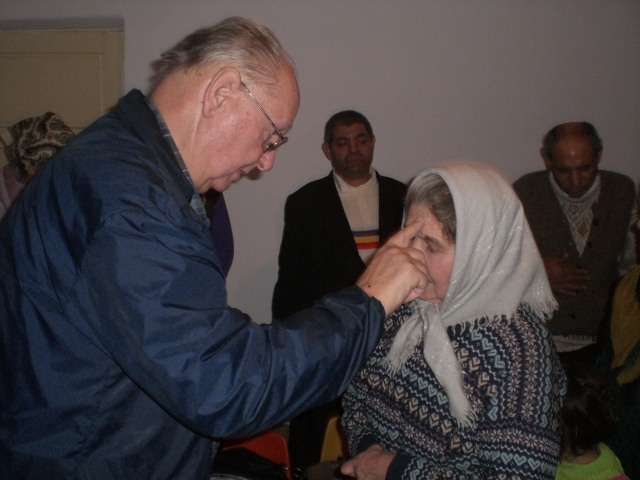 One man from our church, Dimetris, is in hospital for breathing problems. Marin says under communism he was imprisoned several years for speaking out against the government. He contracted bronchitis which still acts up in winter. Because he ticked off the government, he gets only $18 per month pension! He cannot buy medicines or food and barely subsists. It was my honor to buy his medicines and supplies. Friday night was prayer meeting at the apartment and church. Because it is so cold we elected to stay at the apartment. The church meets in a small storeroom when it is very cold as it costs a lot to heat the church and takes all day. The trip to Tulcea was exciting indeed. For several reasons, it is 10 days later that I have access to write my notes so I apologize for the delay. We left Braila Friday Evening in the Van. Pastor Arhil from Chiscan, Brother John from the Colony, Marin and myself. Crossing the Danube on the barge “ferry”, a barge holding eight or nine cars and trucks pushed by a tug boat. It was dense fog along the Danube delta making driving slow. We arrived at Ciiucomunira on the Delta about ten pm. The delta is sort of a waste land not good for agriculture or manufacturing and somewhat distant from development resources so still a little “backward” economically. 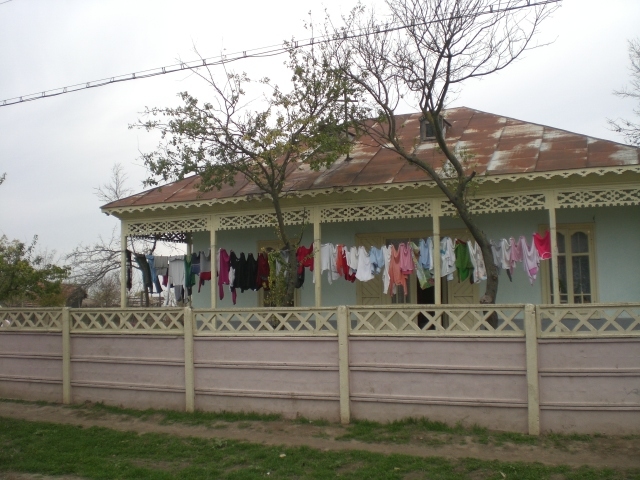 The villages are poor Romanian settlements, gypsy villages, Turkish towns complete with Minarets, and Russian towns. 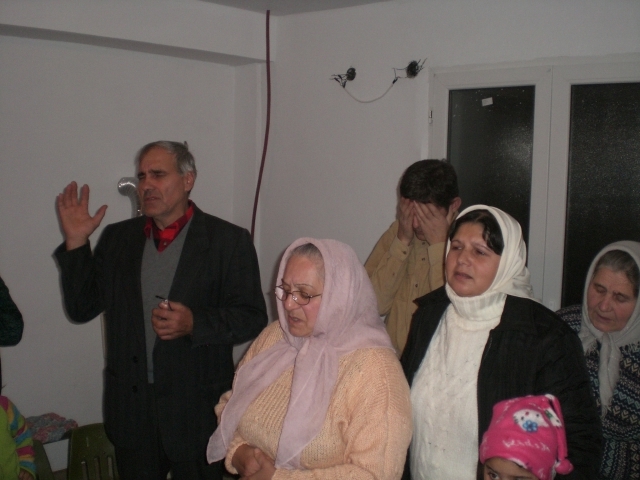 The Braila church and its 14 affiliated churches are making a concerted effort to evangelize this ‘forgotten land’. 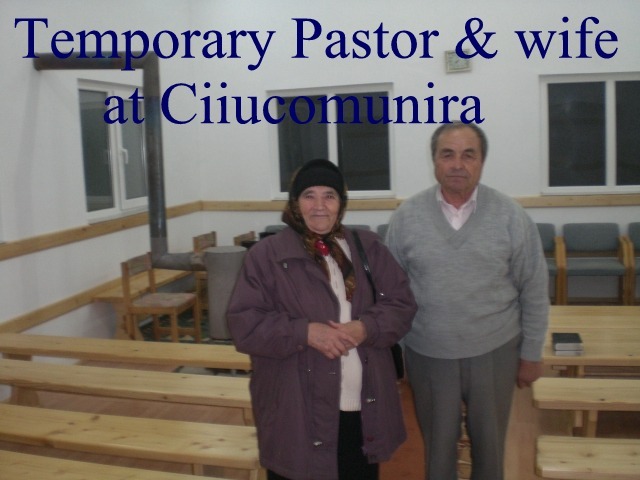 At the village of Ciiucomunira, a wide spot in the road essentially, we dedicated a new Apostolic Church. The Pastor and his wife served orange soda, cola, cookies and hot bread to celebrate our dedication. From there we went further east to the end of the peninsula-delta to the town of Tulcea and a long night service in a new Pentecostal church packed with worshippers. It was an exciting service with each of the delta pastors participating. Marin was the only available translator so I decided not to invoke a lot of scripture into my message so I spoke on the experience I had in the Nigeria prison, citing scripture Isaiah 49:16. This “experience oriented” preaching is unusual here as most pastors teach on a specific scripture, repeating their message in several forms. My sermon was received enthusiastically and several present asked we visit their churches before leaving the district. About 2 AM the service ended and we were served rice and bread and tea for dinner and then led to a loft in the church housing 8 bunks. The trip to the outhouse was an adventure down the outside staircase…. At 8 we were up. Pastor Arhil went to a service in a different town from Marin and John and me. 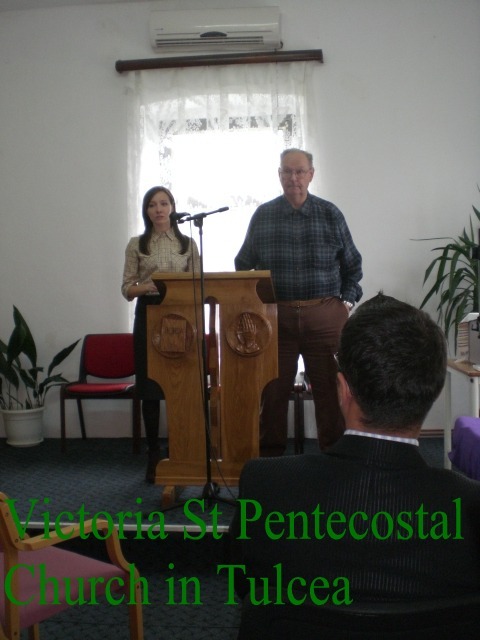 We were asked to preach at the large Victoria Street Pentecostal Church in Tulcea. The irony is this old well established church with about 300 parishioners in the center of this big town still uses an outhouse located in the parking area and has the quaint bucket of water and a common cup or ladle as the drinking fountain. Back in the early nineties this was common everywhere but now not so much in cities. The Pastor at Tulcea looks amazingly like my son-in-law Scott! We hit it off very well and he and his wife speak very good English. She has a sister living in Renton. When it came time for me to preach she said “I understand your messages are too short….please take as long as you wish as we have until noon”! It was 10:15. 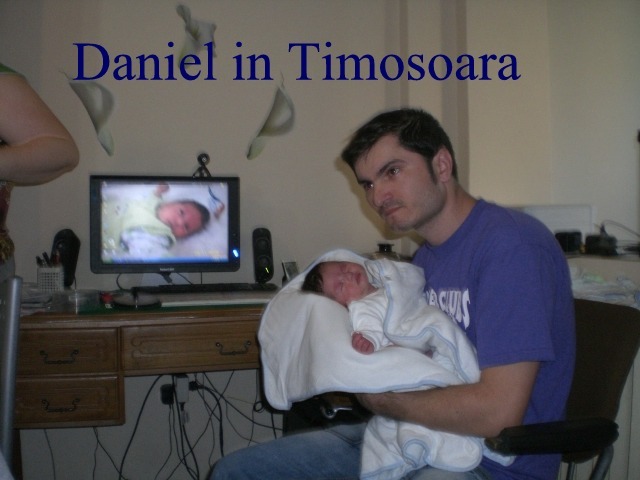 I gave a history of Caleb Ministry in Romania and then preached on Deuteronomy 30:5-16, ending at 10 minutes to twelve. The people were very gracious. Many record parts of my messages on cell phones which seems a little strange in a land where people ride horse-drawn carts instead of cars. Pastor Bief then invited us to his apartment where his wife prepared lunch (we had no breakfast) of chicken noodle soup, pickled peppers, bread, and goulash. 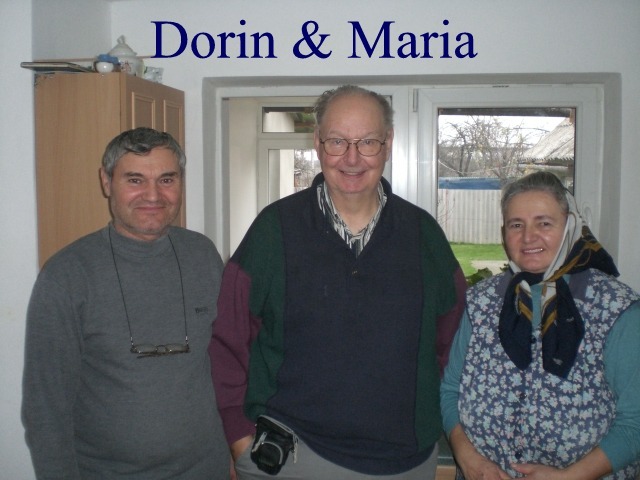 We rested there until 4:00 when Marin received a cell phone call from Pastor Arhil saying he was waiting for “my friend Jerry at the new Apostolic Church of God outside village Nicolas Balescu (many villages named for this Romanian literary giant throughout Romania). We found the village and tiny church. It was packed to the seams when we arrived and they were clapping as we entered. A visitor here is unusual and one from as far as America unheard of. I spoke on Malachi 3:1-3 at the request of Arhil as he likes that message very much.. We finally left the delta area and returned by barge, arriving home at midnight Sunday night. There was much conversation on the way about which Pastors to place in the two new churches to nurture the emerging charismatic congregations and when to schedule the first baptisms. Arhil and Marin want me to return in June or July to baptize in this area. Monday was a day of rest and catching up on sleep. The delta had been very cold at night and the meals were not even close to being regular for my blood sugar. We found very few petrol stations, stores or facilities available on the delta outside Tulcea and no food service anywhere after 6 pm. From Friday afternoon until Monday AM we had only two meals plus bread we had in our car. Tuesday was organizing the warehouse, visiting sick gypsy families in Lacu Sarat area and The Colony, and the evening prayer service. Tuesday late a lady came to the apartment complaining of a spirit of suicide. She wanted assurance she would not loose here salvation if she took her life. Cristina and I spent three hours praying and counseling her. She seemed very calm and focused when she left and we gave her a plan of action for her despondency to concentrate on. She has been here before and appears to get overwhelmed by simple tasks. Outside the church there are really no social services available here. 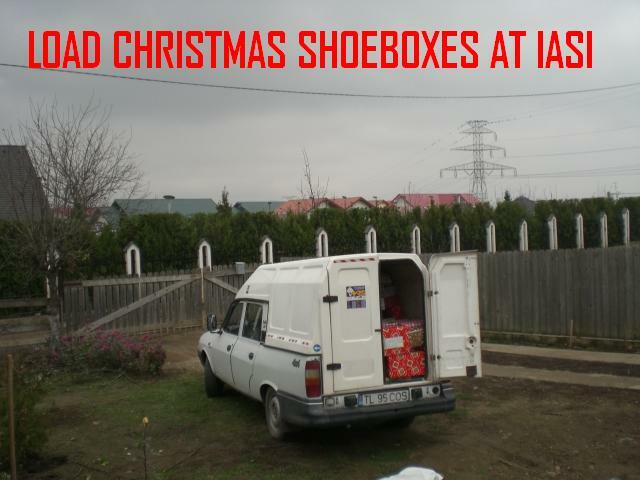 Wednesday Marin and I packed the van and headed north to Iasi to deliver Glycobears to Pastor Cazcau and to retrieve the first load of Christmas Shoeboxes. It was good to get away from the fog of the delta area. We stayed the night in the ‘warehouse’ where we store clothes, supplies and shoeboxes on a lot. We then went where Marin is building a house for a lady. She has stopped paying for the work so two of Marins' carpenters live there in a shed to protect the property while she gets more money to complete payment of supplies. We left breakfast of cheese, bread and olives with the workers, bought them supplies, and then headed west towards Bistritsa. 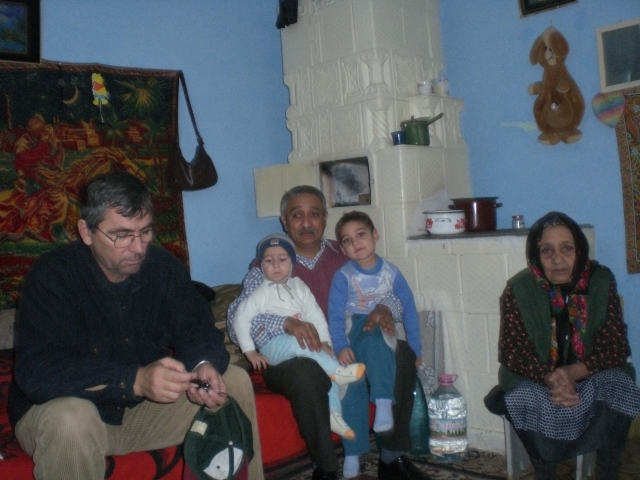 Our intent was to visit Brother Marius in Botosani and give him Glycobears but he was in Vienna so we continued on Stopping at Suceavea, officer Donat gave us information about a gypsy pastor in great need, living near Turda. He was unable to help because of his work at the moment. 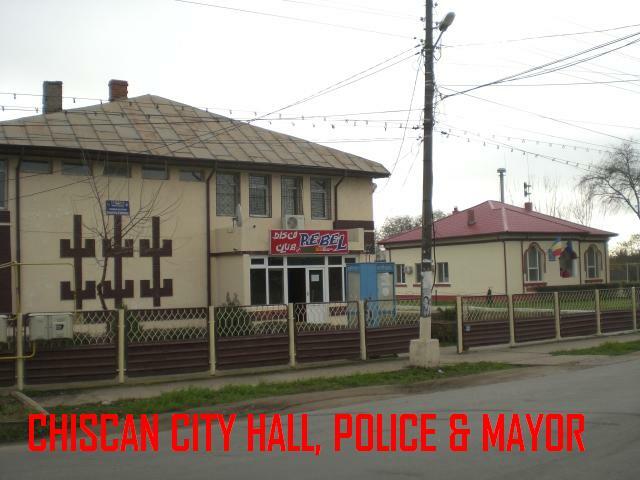 (All police are on duty as it is elections in Romania so all leaves are cancelled.). Outside Suceavea I saw two men in wheelchairs begging for food by stopping cars in the street! I have seen gypsy women and Romanian women holding babies, even naked children in the snow, begging at intersections but the wheelchair men was a new experience. So many hospitals and care facilities have closed here that people are near desperation. We handed the men our bread loaves, cheese and some money. 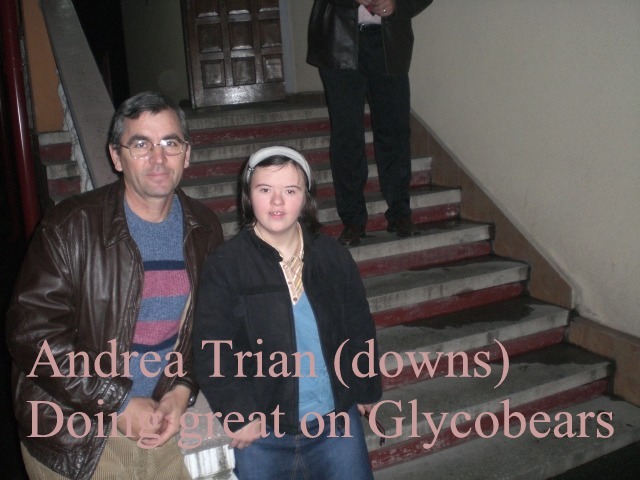 At Bistritsa we again left Glycobears and then headed south to find the gypsy pastor. About 4 we realized we had not had anything to eat but there no ‘popas’ or restaurants so we just kept on driving. In the hills south of Bistritsa we encountered very dense fog alternating with snow and frost in higher elevations but we were determined to locate the gypsy pastor for brother Danut. At one point we ended up on the wrong road, having to double back and then take a mountain logging road to reach our destination. 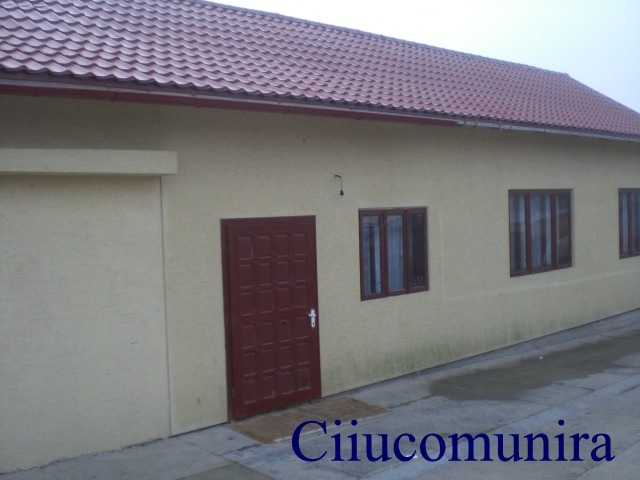 I was very surprised when we came out of the mountains at a large town, Ciilampanzi, adjacent to Turda. Proceeding directly to his house, as it was already 8 pm, we arrived to find Pastor Dan Donti in tears. He is a gypsy and he wanted to start a church for gypsies so he built a room on top of his house. The room is reached by climbing steep stairs inside his house. The room itself is very nice appearing but leaks, is not stable, and possibly could bring down the entire home. The authorities found out about the room where he and his 30 parishioners worship, and ordered it removed as it was built without a permit and is unstable construction. He fears to remove it will bring down the whole house, which is probably true. The city fined him $1,500.00 for building without a permit and ordered the room removed by next week. He is devastated and probably does not comprehend why what he did is not acceptable as his education is very weak. But his faith is substantial. 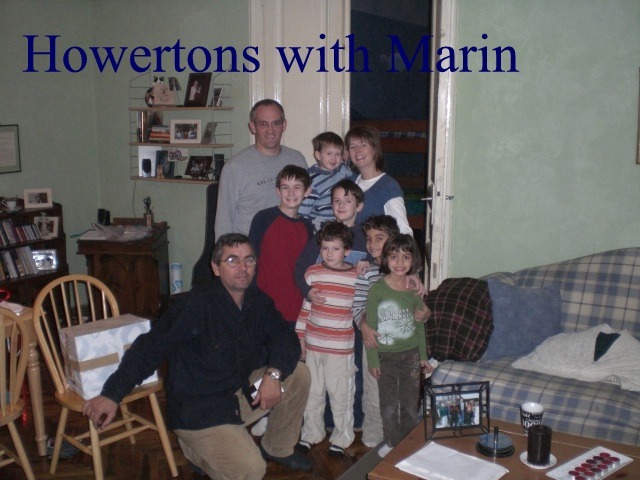 We advised him to work to remove the room he built, Marin showing him how top do it without damaging his house. Marin said if you complete it by next week, the fine may be removed. I gave him half my diabetes medicines and took the family to the Profit Market where Caleb bought $200 worth of groceries for the family. I gave him an additional cash gift as we left. Marin and I then started looking for food for ourselves but it was now 11 pm and most everything was closed. By midnight we found a motel but their kitchen was closed so we went to bed. It was Thanksgiving and we had had nothing to eat all day except gas station vending machine coffee. Friday we got breakfast at 7 am as soon as the kitchen opened. I had THREE fried eggs and two grilled wieners. (Their version of sausage links is tiny hotdog grilled) Marin had two bowls tripe chorba and bread. Leaving Turda area, we headed towards Timisoara. 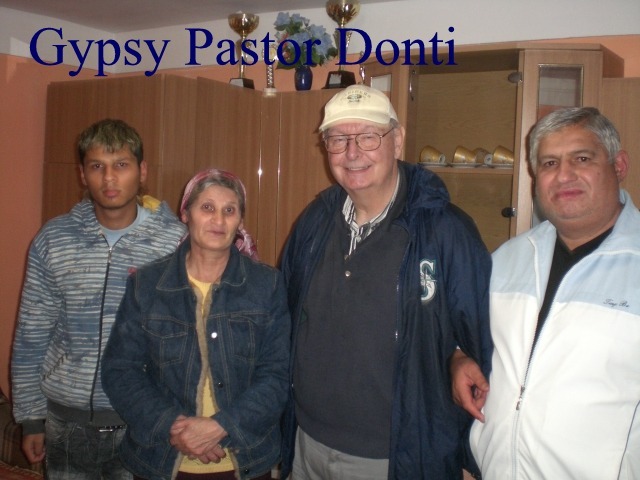 We received several telephone calls from Officer Donit in Suceavea and gypsy pastor Dan Donti through the day, repeatedly thanking us for our help. That thanks goes to Jesus and all of you who make this possible! 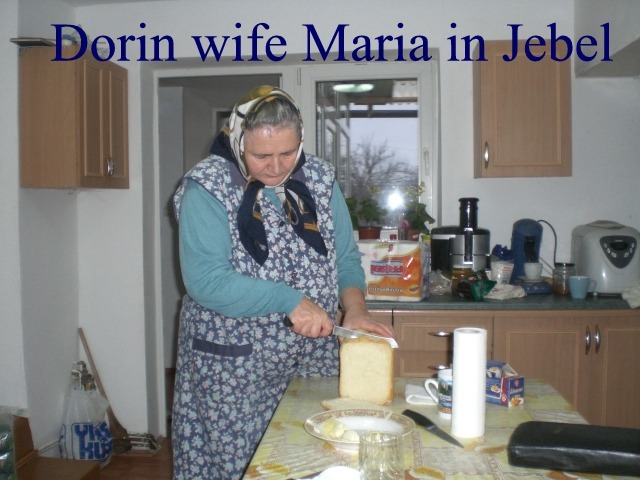 From Timisoara we ventured south to Jebel and stayed the night with Pastor Dorin and his wife. His seven village churches are doing well. The big one in Deta is growing and he just received a grant from an anonymous source to construct a church in the neighboring village of Denta. 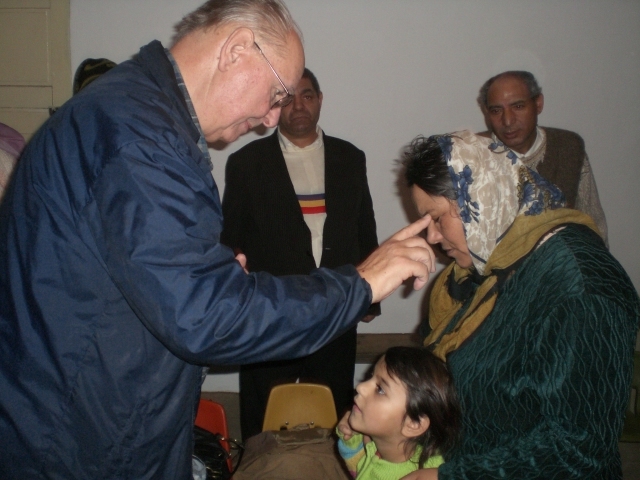 The Banlok Church is growing and the Serbian border church which we helped start is still doing much counseling from the war atrocities. Many family lost one parent and the other deeply impaired by hostile military forces. Pastor Doru and his wife were packing when we arrived as surprisingly they leave on Friday to fly to New Zealand to visit their son who manages a big pig farm. She has never flown before. They fly from Timisoara to Budapest, Budapest to Paris, Paris to London, London to Singapore, and Singapore to Wellington! It is huge undertaking. Doru worked in Australia for two years back in the early nineties so he has travel experience. They hosted us for dinner and to sleep the night and we left early before breakfast Thursday to give them peace in travel preparations. Their three sons are paying for the trip, one living in Belgian and one in New Zealand and the third in The Netherlands. Heading to Lugos, a city southeast of Timisoara, we locate two Americans who have settled as missionaries in this bustling city. 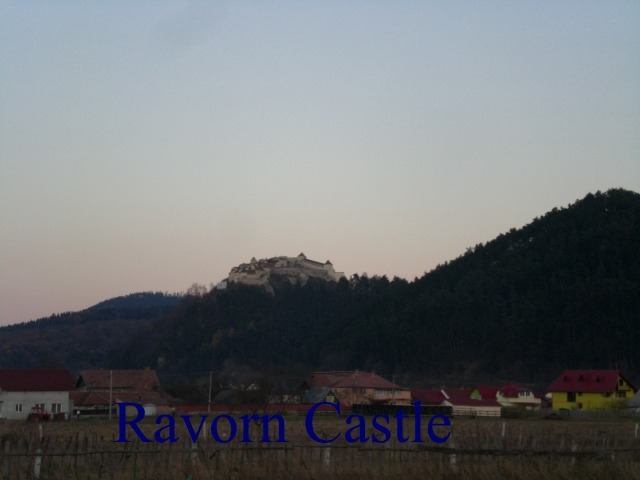 Baron Howerton is from Tennessee, a graduate of Bob Jones University, who wanted to serve as a missionary in Romania. His wife Joyce is from Georgia. 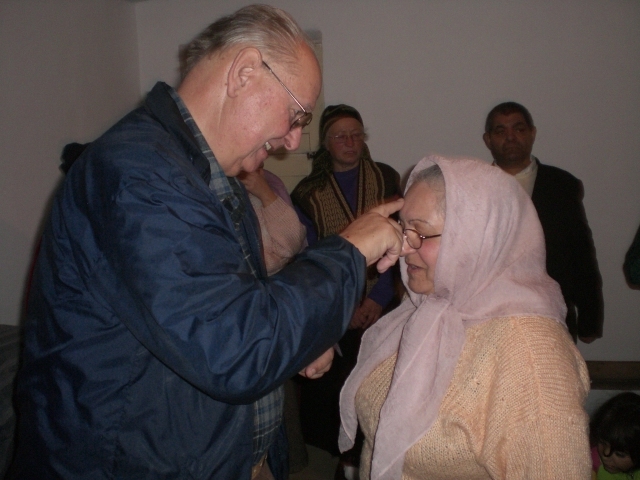 They married and then moved here in 2001, establishing a Baptist Church in Lugos. 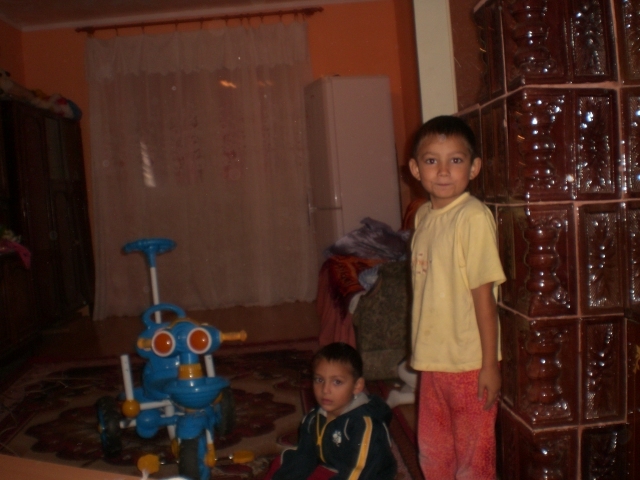 They have two children, have adopted two Romanian children and are processing applications for two more handicapped children. 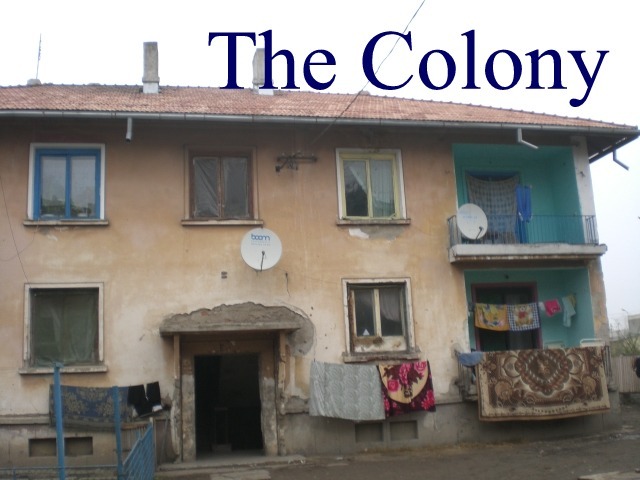 The family of six kids and parents reside in a large block house in town center Lugos and have adapted to most Romanian customs, making them very efficient missionaries. Several days a week they do crafts and projects with their kids at a state children’s home, having from 30 to 50 kids each time given to their care and instruction. Their uncle is Earl Harris of the Bible Foundation situated in Oregon which provides Bibles to Caleb Ministries. We gave them a supply of Glycobears and promised to send more supplies now that we know their needs and uses. 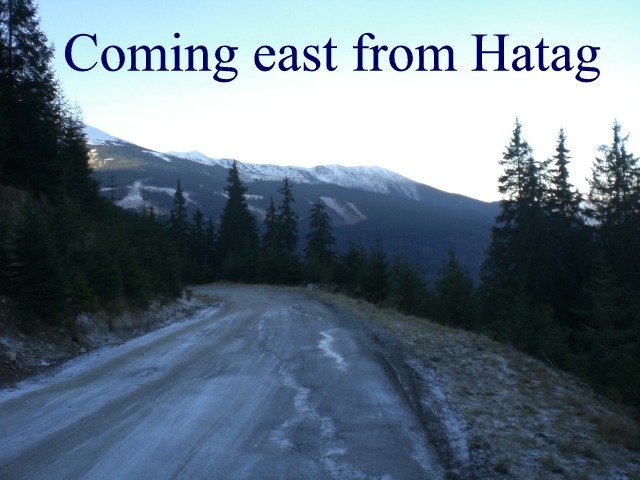 Leaving the Howertons', we journeyed south through snow and ice to Petrosani, up in the mining district. Here we learned that unemployment is very high with most mines closed and the youth heading west throughout the European Union to find their fortunes. It is as if this very Pentecostal enclave (along with Moldova) is now experimenting with jobs abroad like the other youth did twenty years ago when the borders opened. A few return with material things and even some with money for investment but the price they pay in endangering their spiritual lives is rarely worth it. We hear it over and over how they are drawn away from church, become enamored with the fast life and sporty cars, only to have foreign employers cheat them, hold back wages, and exploit their illegal status. Now that the European Union gives them access across the borders, they are victimized by anti-immigration movements, only to return home disillusioned. 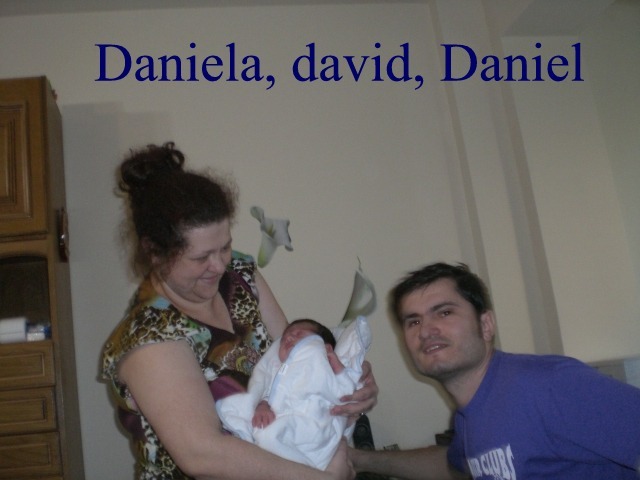 At Petrosani we stay with Gigi and Daniella Coicheci and their children Bianca, Roxanne, Sergio, Claudio and Cosmin. Saturday many came to the house for visits. Sunday is church literally all day because of the winter weather and difficulty of traveling home between morning and evening services. I preached in encouraging the young people to go forward in missions and on Paul’s travels on the First and Second Missionary journeys. 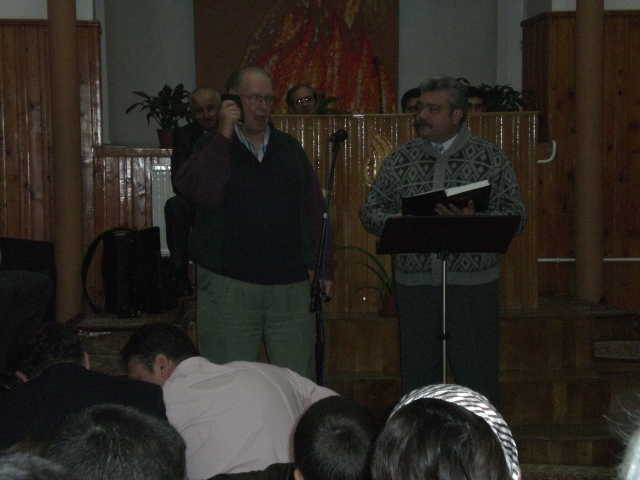 A Pastor from Craiova gave the closing message Sunday night and 29 people came forward to rededicate their lives! 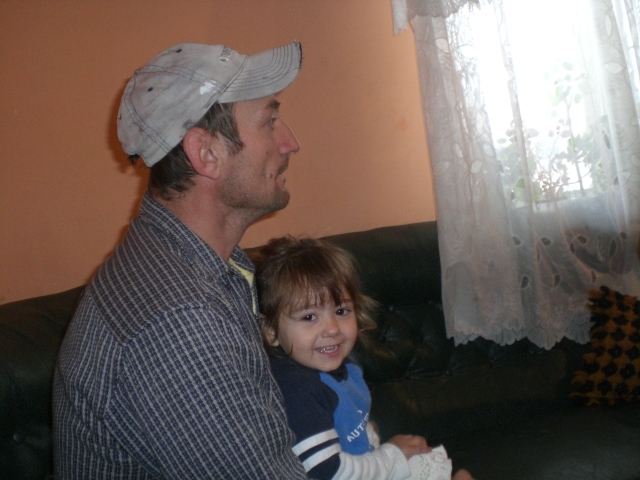 He came to the house after and we talked for quite a while as he wants Caleb to visit his church district in Craiova. Monday morning Marin and I returned to Braila as we had lost one headlight in our travels, had some engine troubles and needed to rest. It took eleven hours to drive back across country and we arrived home at 7 pm, making home-made pizza for the kids as a treat. I cannot be sure where I left off because the laptop donated by Pastor Allen Pierce for my travels has crashed and cannot any longer find its hard drive! It has three works of notes and comments hidden in its dark recesses which apparently it has decided will remain there forever. I believe I last wrote on Monday of last week. It is now Tuesday so will try to reconstruct events using my photos…still intact. Tuesday Marin was tired from the drive across country. It was made more difficult because we were stopped by the Police in Piteste and cited for “driving in the forest” about three counties before! 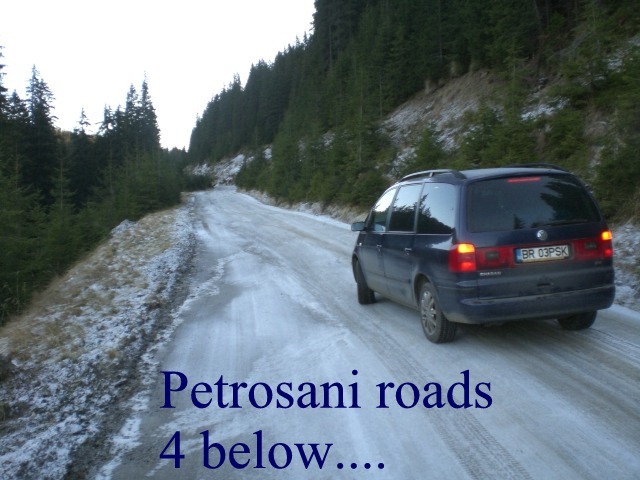 We did take the forest road as people in Petrosani said it was open, much quicker and pretty good road. It was quicker and was pretty good road except for about 28 miles, but the Police do not believe it I open as yet! So thy cited Marin, effectively revoking his driving privileges for three months, commencing Dec 19th. He has appealed it but will probably loose as the police are refused by the courts. This gave Marin a big headache so he rested. We went to church Tuesday night but that was about it. Then we went to his in-laws to pick out a Turkey for my birthday party. 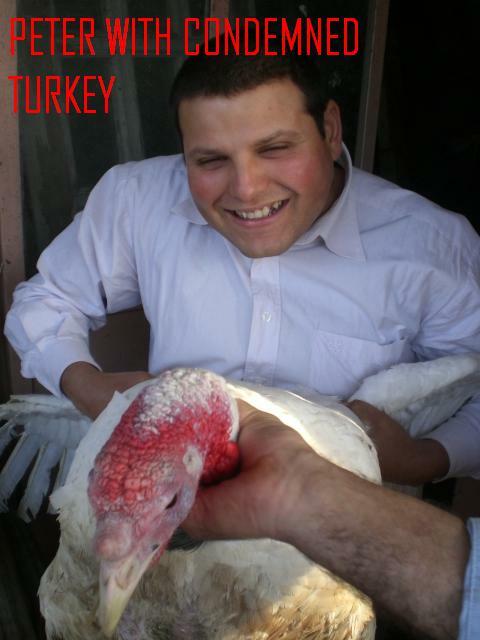 Last year they had awful time thawing a frozen bird so this year he arranged to buy a fresh one from his mother-in-law! They finally got it cornered, tied into an open box and into the van back seat. 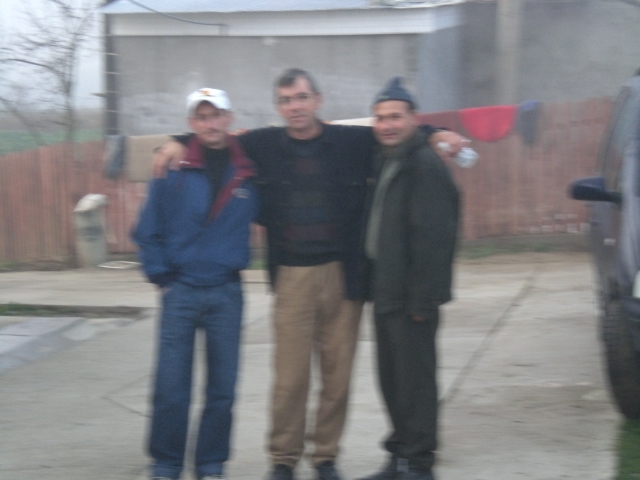 Then we visited Marins’ construction site and found one worker needing to return to Braila because his father is sick. 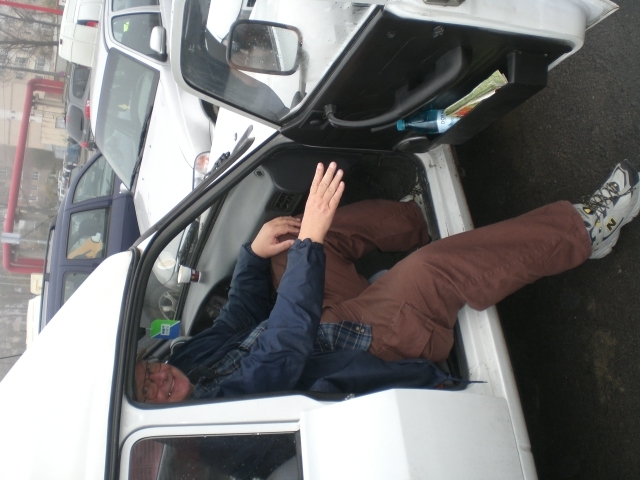 The man got in directly behind me in the van and he reeked of wine, garlic and body odor! Between him and the now perpetually pooping turkey, it was awful. I lost my breakfast down to my toenails! The 6 hour drive was test in patience but we made it. 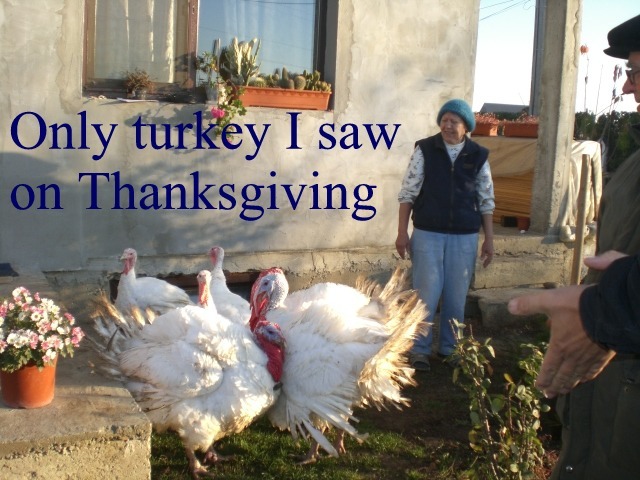 We delivered the worker to his home and then drove to Marins’ mothers here Marin opened the kitchen door and pushed the live turkey inside. They were quite surprised but took it well. The turkey was boarded for night and we returned home. 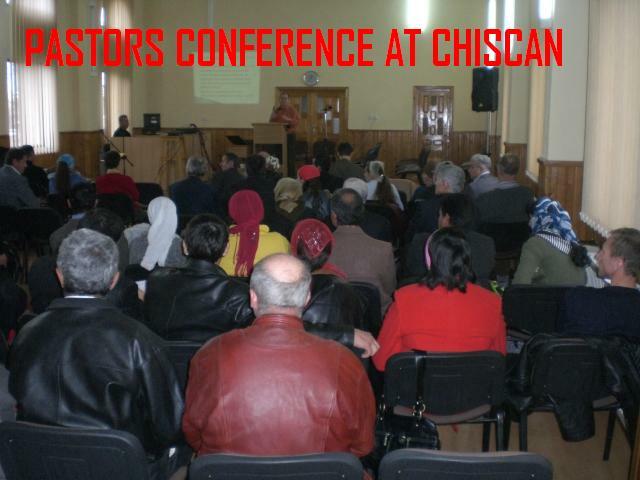 Saturday was a big conference here in Chiscan Church (neighboring village to Braila) of the 14 churches in the Braila alliance of Caleb supported churches. Over 75 showed up, mostly Pastors and wives. Two sermons were given, one on Samson and the other David, and then a teaching on sexual immorality and how to counsel those in the church involved. It was excellent presentation. I then gave a closing sermon on the importance of addressing these issues and not shoving them under the rug. Because Romania is so male-dominated, these issues are usually blamed on the women and not addressed or counseled as they should be. This conference was great! 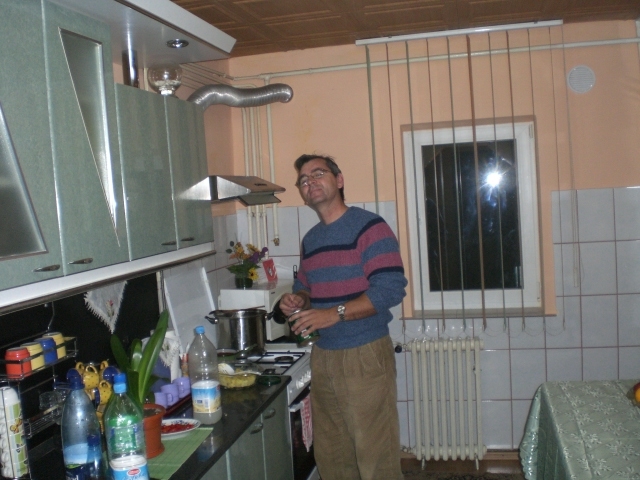 After, they served a Romanian dinner and I was able to visit with some Pastors we had not visited. The young man who had his right arm mangled by farm machinery was there. He is doing very well and has full use of his arm and hand. Pastor Croiter from Megidea was present and insisted I come visit before leaving Romania. He promised to try to get back to Seattle for a visit next summer. Because the conference went late, the Turkey was spared one more day. Brother Metika and his family came for prayer Saturday night at Marins’. 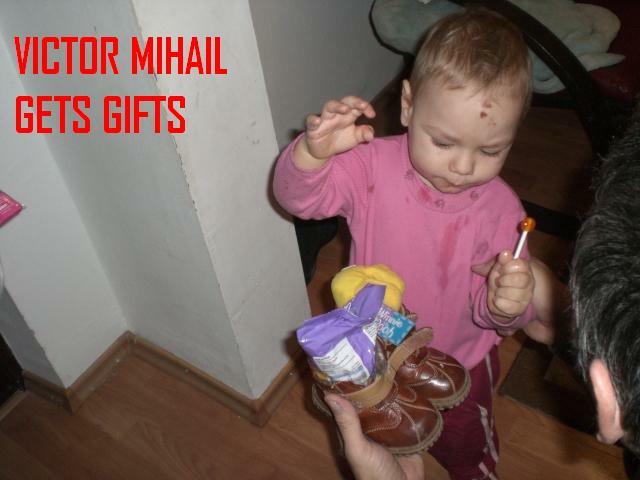 The First Sunday is gift-giving for Romanian children so he placed gifts in their shoes. I filled his shoes with cough drops as it was all I had. He does not eat sweets anyway. He was surprised. Then was church and then we dispatched the Turkey. He was de-feathered and cleaned and then parted out as they do not roast food. It is boiled or fried or put in soup or stew. Only bread and a few select pastries are baked in this country. Most “ovens” are way too small to accommodate a turkey. Marin gave his mother a wing and other parts as payment for boarding it one night. The rest was taken back o his apartment for the week. Presumably some will be served on my birthday Saturday. Monday we washed the car, paid bills and ran errands. With five young children, a lot of time is spent on errands! It has been difficult because of the elections and the economy. The state workers refused to work the requested one day to help the failing economy. As a result, no on go paid this month. Marins and Cristinas' checks (direct deposit to debit card accounts) are missing for three weeks! They call each day but are told they have been sent out but nothing is received and they are using savings and bartering for goods and food. The election was with 12 candidates two weeks ago. This narrowed it to two, the incumbent and another. Sunday was the election. The challenger led substantially in all polls and at close of polls had big lead but by morning he lost by less than 1 percent. Lots of clams of fraud and such and there is mood of uncertainty in the country. Because of this, many are going unpaid as places hoard what they can. We met with a gypsy friend from church in the plaza Monday. I asked about his family and he simply broke down weeping. H has lost his job and his car and cannot feed his six kids. We prayed with him right there ad it was impressive as several passersby’s stopped and prayed with us. We gave him some food and Christmas Boxes for his kids. Going to the Colony we gave many fathers boxes for their children so they can give them out themselves. 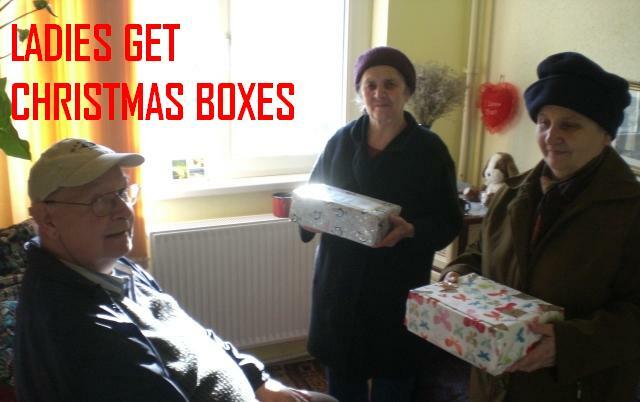 The kids will also get boxes at church on Christmas Day. The parents get food packets for their families with food for a week and then another on New Years Eve. 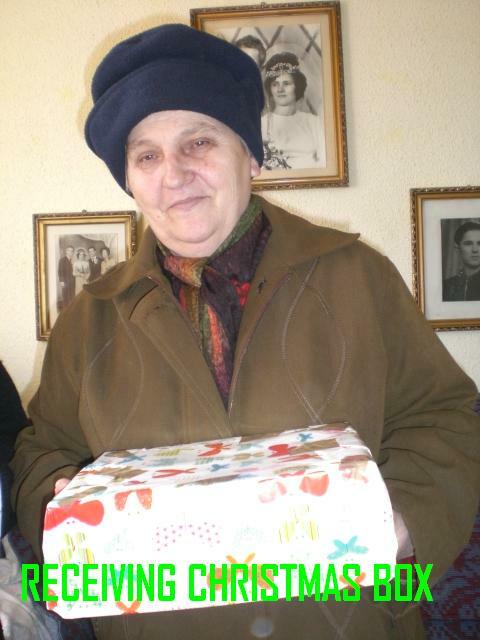 We also delivered Christmas Shoeboxes to older ladies and men, most windowed or alone, s that they get Christmas gifts as well. Sister Beleaneau was very pleased by our visit and gifts and served us Apricot Juice and a plate of 6 Ritz crackers. She had added sugar to the juice thinking this would help a diabetic! Tuesday we visited the family Milano in Sweet Water district. 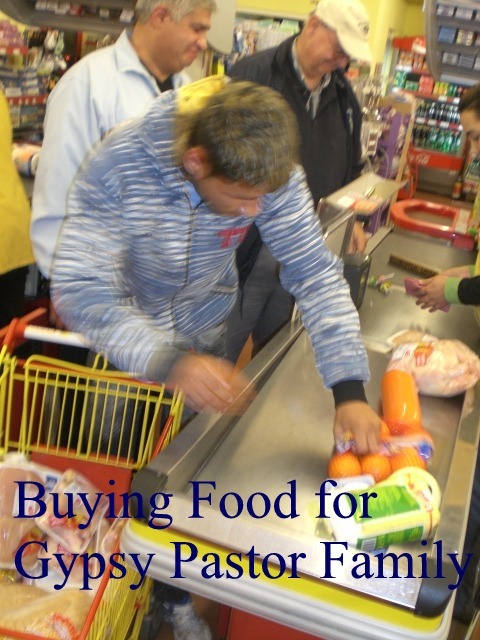 He is gypsy with 7 children and four grandchildren living in home. He is father of the former possessed boy. All are doing well. 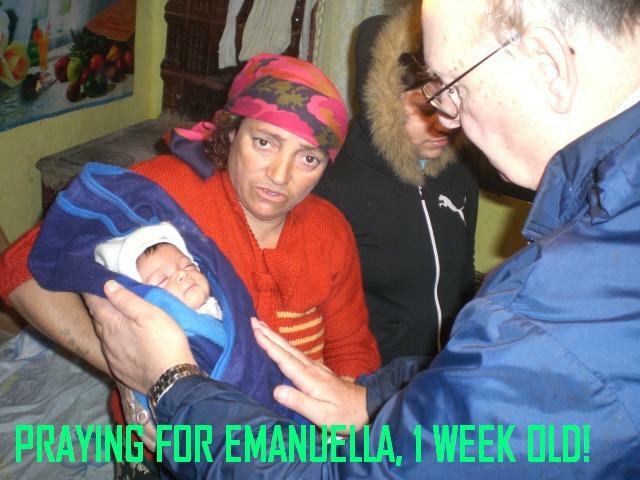 He asked our prayers for a daughter with paralysis of her jaw and for a newborn girl named Emanuella. It was a good visit. Tuesday night Florin and his wife returned to visit and pray with us so we missed church service on prayer night. Wednesday we were going to visit in a village but the family arrived here at 7 am. They needed food and clothes which we gave. After feeding them and loading their car, Marin and I went to his mothers where she had prepared a food package for a sick lady in Gropeni Village. 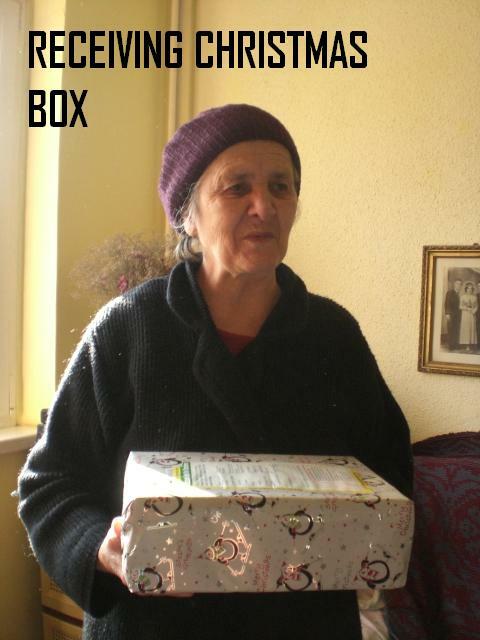 We took the boxes to her and prayed with her. She is 78 and very ill. Her husband was very grateful and called two of the sons to join u. They have four boys, all policemen. Two were killed while on duty. I told them of the four officers killed in Lakewood last week and of the big memorial service. They were very moved as most are not supportive of police here. The father related many incidents of Marin when he was young and living on the streets. It was fun to hear the details from the police side. A very good visit and they were most grateful for the meals Marins’ mother prepared! Thursday we journeyed to Bucharest to take two ladies t the hospital for a stay. One is Marins’ mother and the other a lady from the village. They go each inter for treatment that lasts 9 days. To be sure they get a bed, even though they have reservations, we leave at 4 am to arrive by 9 m. They must pack their own bed linens, pillow, night wear, toilet paper and issues and arrange for someone to bring them meals as hospitals provide no such amenities here. We got there in time and had them checked in with beds before we left. Saturday Dec 12th was set aside for my birthday celebration. Cristina prepared the grocery list and Marin and I went shopping. His pay has not been paid for four weeks now, as with many others. Each day we go finance minister and ask and the lady says she deposited it yesterday. But it I not there. Main asked why she lies to him and she says “it is my job”. It may be the government has no money left. We know of many others not getting paid as well. So we shopped sparingly for birthday dinner. The Turkey obtained from mother-in-law was cremated into a sort of hash. This was served with salad and Turkey Chorba and bread. My friend Nakutsa and his Downs Syndrome daughter Estera came for dinner. Cristina was too tired so it was Marin, Elisa, Michael and Nakutsa at the table for dinner. I was presented flowers from Cristina and Nakutsa. The cake was very good. It was molded lemon with orange slices and no sugar but whipped cream. After dinner several came for prayer meeting. It was quite crowded. Thus, I turned 70 years old. Sunday after church, Sister Johanna had a birthday dinner but my now measles were full blown on the Tiripa children so only Marin and I attended. It was very traditional Romanian foods beautifully prepared. Monday Marin and I made a visit to Brother Fannie, a gypsy Pastor who serves in the Braila Church. He is special friend I had the privilege of baptizing in 1998. He lives with his wife, baby and mother-in-law in a tenement near the port. The building is a disaster but his apartment is immaculate! Many came for prayer in the home and it was a good time. It is now Tuesday and the two older Tiripa children are returning to school. Our trip to Bucharest is in jeopardy as Marins’ license is up tomorrow and Cristina will not drive in snow. We must drive to Bucharest to bring home the two ladies we took last week. We started out at 8 AM with heavy snow, icy roads and a temperature around 25 degrees Fahrenheit. Traveling at a maximum of 30 mph and in complete gridlock throughout Bucharest, we saw seven overturned vehicles off the roadways and one car driving from an obvious crash. These were 7 separate accidents across the country! We retrieved the ladies and returned, getting home at 10 pm! It was snow, sleet and ice the entire route. Romania will enter a new age starting on Monday once the Presidential elections are validated. An age that is unknown for the time being, an age whose start is as gloomy as it could be: a society more divided as ever, with an economy on the brink of bankruptcy, with a pauperized population tired by tomorrow’s uncertainty, with an apparently unstoppable unemployment, with an outdated infrastructure that endangers the public’s safety, with a health system on the verge of collapse and a demographic situation that points to a massive exodus of young generations. The generalized corruption, ranging from the highest levels – whose consequence is the undermining of the credibility of the fundamental institutions of the rule of law – to the door keeper to which one gives RON 5 to enter a public institution for example, gives the final touches to Romania’s depressing picture at this moment. For two years Romania has been immobilized by the fierce struggle for power because of last year’s Parliamentary elections, of the European elections in May and of the Presidential elections that have just ended. The institutional deadlock caused by the permanent conflict between the Presidential and Parliamentary powers against the backdrop of Traian Basescu’s personal interpretation of the Constitution, a President that has constantly tried to extend his prerogatives into the executive area, has led to an over-politicization of the administration at the expense of decisional and financial transparency. Until last year however the booming economy was on auto-pilot, with the state having the capacity to ensure the proper functioning of the public sector. That is the explanation as to why the Romanians were less preoccupied with the side-slipping of the rule of law and with the institutional dissolution. Today things have radically changed along with the unprecedented deterioration of the economic situation, with Romania becoming dependent on international financial aid like a terminal patient is dependent on the oxygen mask. The Romanians have short-term, pressing demands from those that they voted as their representatives within Parliament and the Presidency. Wednesday we were literally snowbound. The car was buried in snowdrift so we could not get out. We stayed in and cleaned, etc. Thursday we were getting frustrated with the closeness so bundled up the kids, dug the car out and went to Versatura to visit the grandparents and then to grocery and plaza to buy vegetables and fruits. It was an ordeal but worth our effort. Friday was indoors again. We watched the Jesus Video, Star of Bethlehem, and The Passion of Christ. Roads are open outside Braila but getting to them is the problem. As always, they are saying it is worse storm in hundred years, closing the entire country except Bucharest. We must make preparations tomorrow to get to Bucharest as I leave Monday. We have possibility of train, the VW van with Cristina driving, or Livio has a 4 wheel drive. Maxi Taxi is closed for the storm. 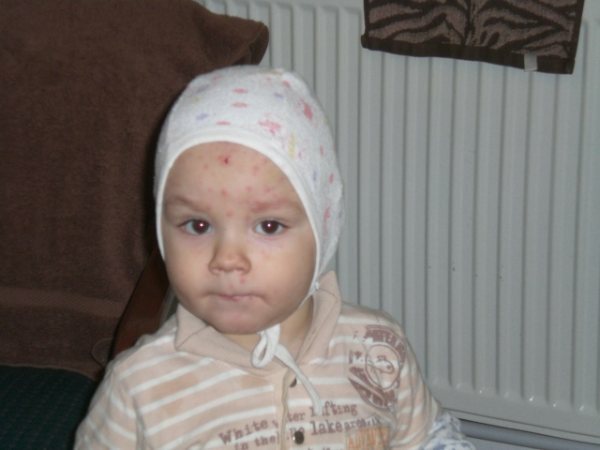 Three of the five Tiripa children had measles by now, the three youngest! Saturday we planned to leave following snowplow out of Braila to state road about 20 miles west. It got cancelled and we determined to go Sunday. 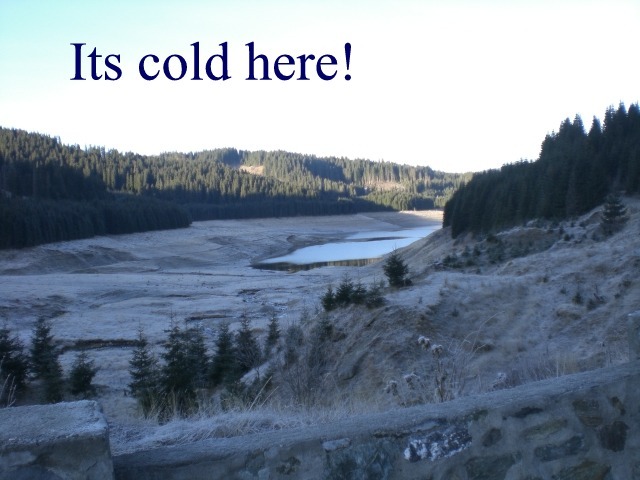 It was eleven below zero! (This is coincidentally the same in Celsius and Fahrenheit! Sunday the snowplow left but we had to postpone again as two pigs were “down” due to the cold and had to be killed and butchered immediately or would lose their meat value. One belonged to Marins’ mother and the other to Sister Johanna. Marin is best qualified so Sunday morning we hiked to Versatura, about 5 kilometers, and he butchered the big pigs. It took literally everyone to process the meat and packing and cleaning. It was very difficult to breath with the bitter cold air. Inhaling was very difficult as it burned your lungs. We took turns running from house to barn to pig shed to house! By Sunday night we were exhausted and knew we had to leave Monday am to catch my airplane in Bucharest Monday evening. At 5 am we departed following the snowplow until we reached Lauralie. From there on the roads were plowed but ice kept impacting in the wheel wells. Each hour, we would stop and Marin would chop away the ice from the undercarriage with an ax so as to not impede the wheels! By 12:30 we reached the airport. Most flights were cancelled but my 8:20 flight took off at midnight. The trip to Romania was wonderful and fulfilling. Travel was very difficulty the last 9 days but before that we made it through the country four times in six weeks, accomplishing most of our goals. Thank you all for your support, prayers and concern. God Bless!